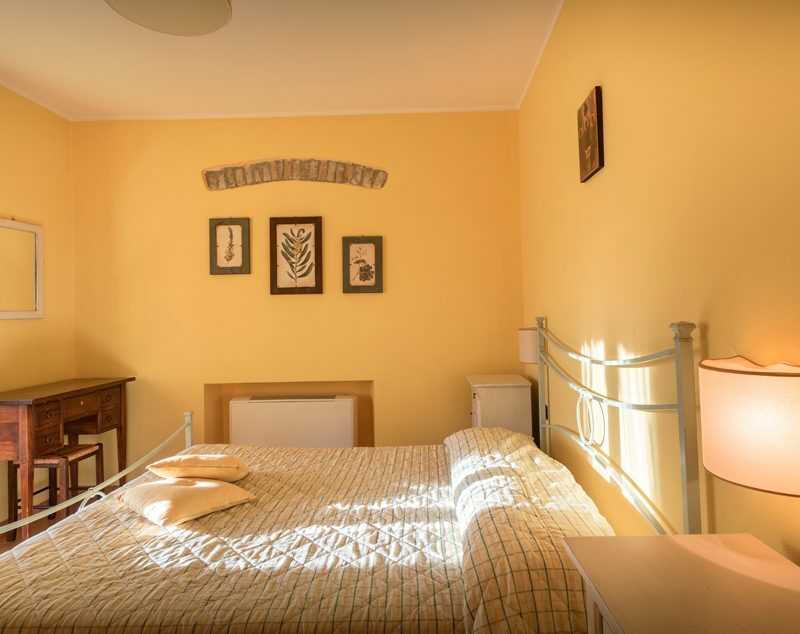 Lively and cheerful, as well as the flower to which it is inspired, the “Mimosa” room shines during the sunny days and is able, thanks to the straw yellow color, to instantly dampen the grayness of the winter days. 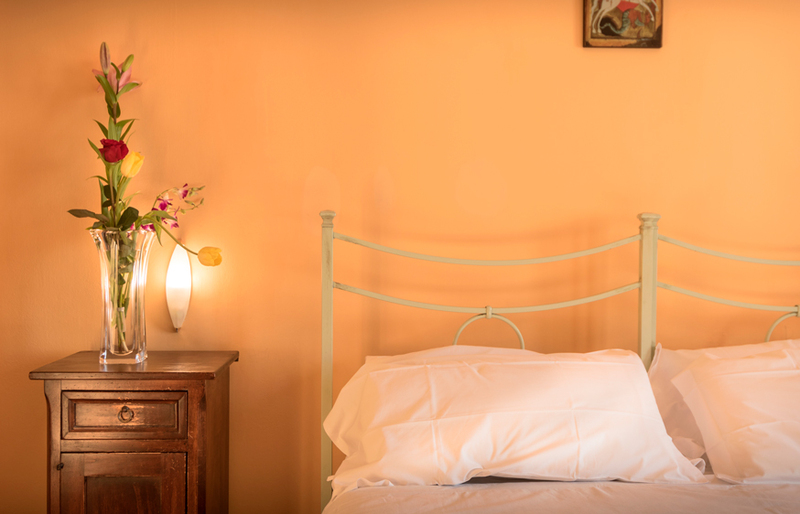 Synonymous with wellbeing and nature, the green orchid, which is inspired by the color of the room, also symbolizes health and fortune and with the natural light that enters from the private terrace, is perfect for relaxing during the spring and summer days. 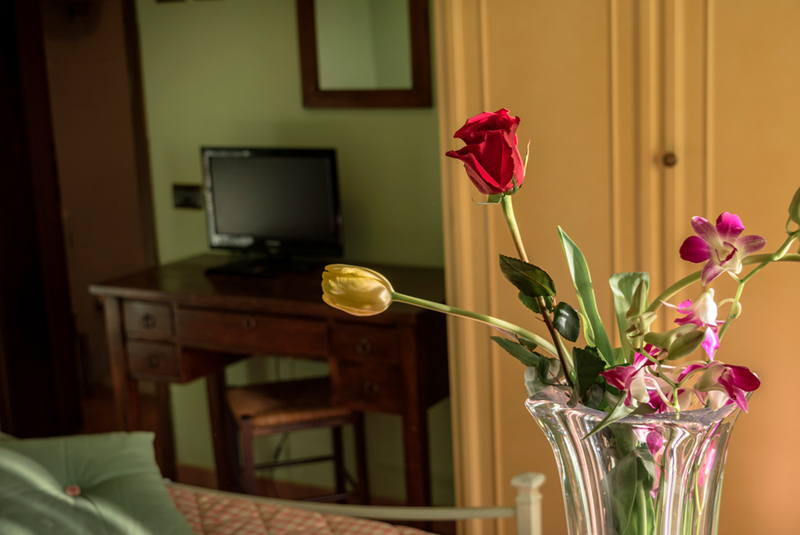 Love, devotion and beauty are some of the characteristics symbolized by the roses. 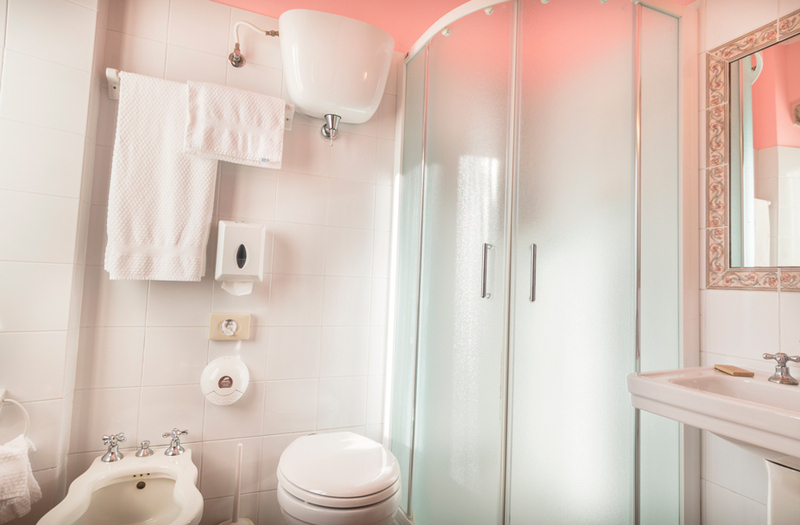 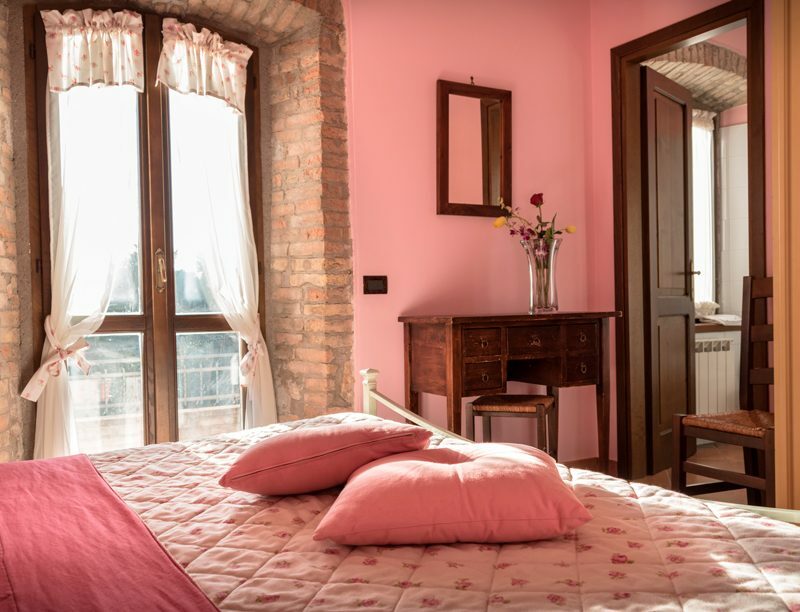 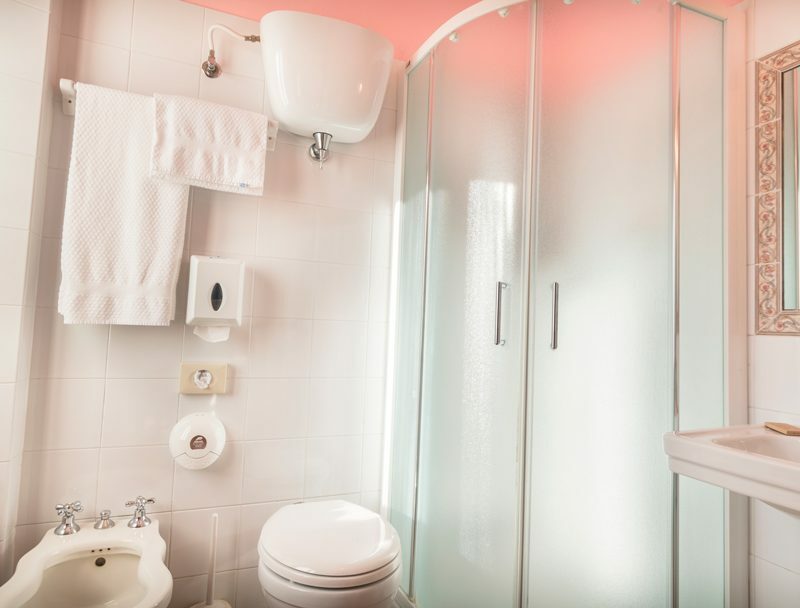 The pale pink color of the room tries to reproduce the same peculiarities, so as to make the stay pleasant and perfect for a couple of lovers. 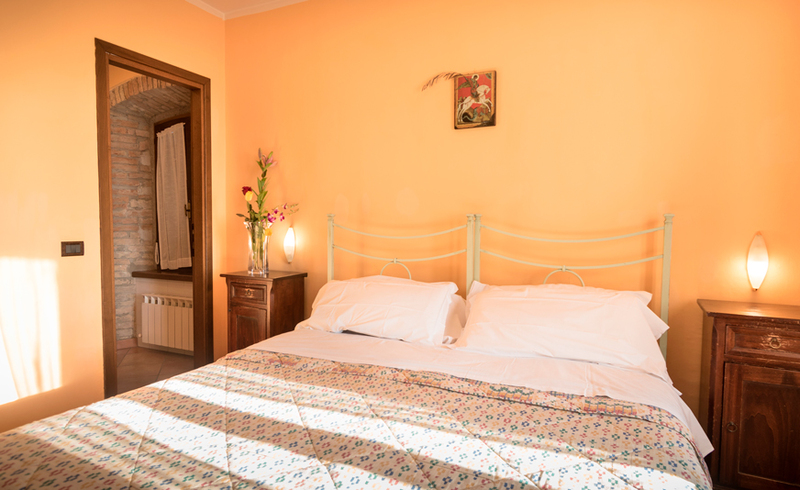 A delicate orange color emphasized by the splendid natural light that enters through the large windows. 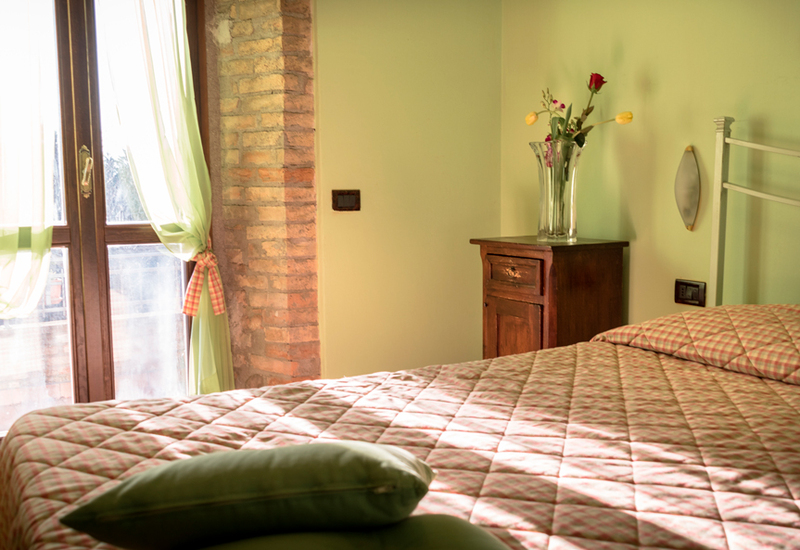 The “Il Giglio” room is perfect for three people and with its delicate shade, invites guests who stay there to rest and relax. 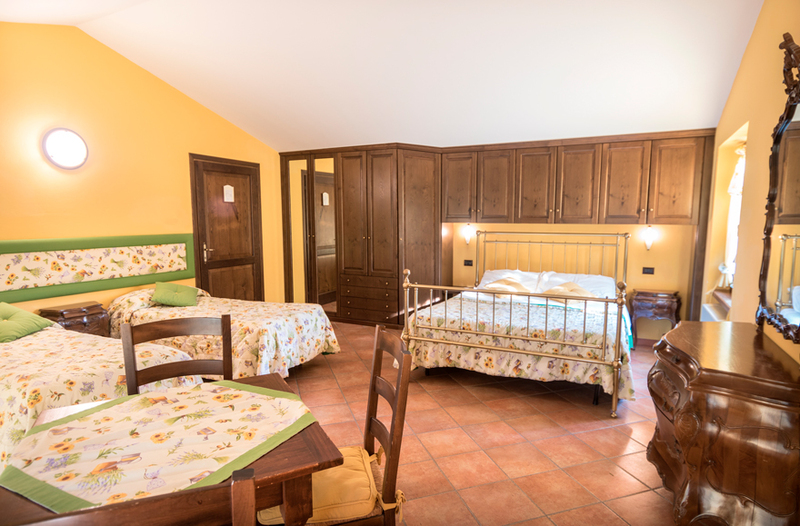 It is the largest of the property’s accommodations. 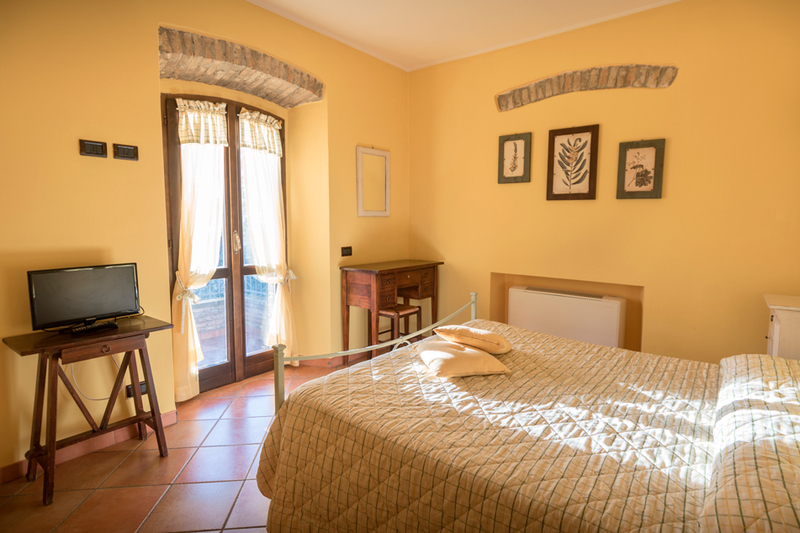 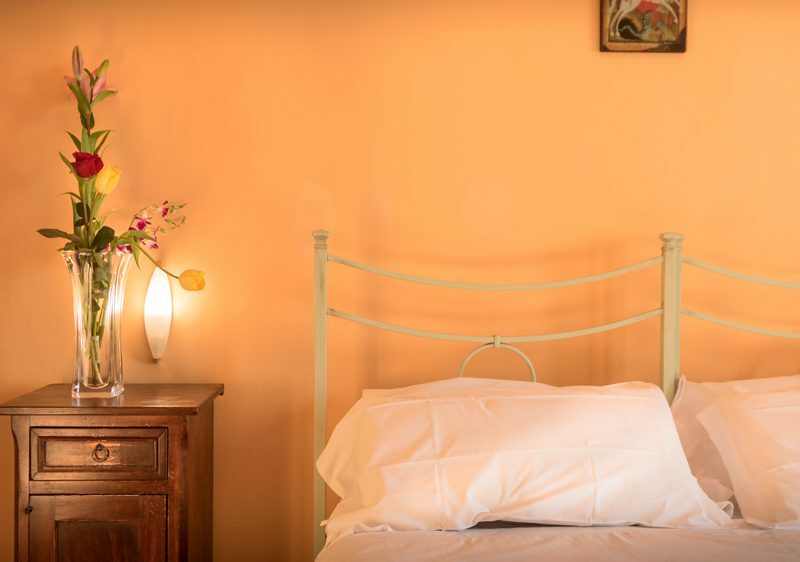 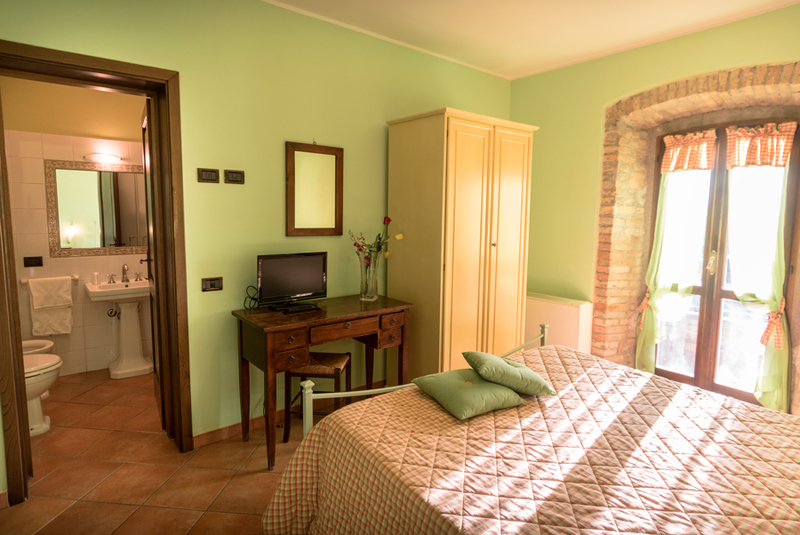 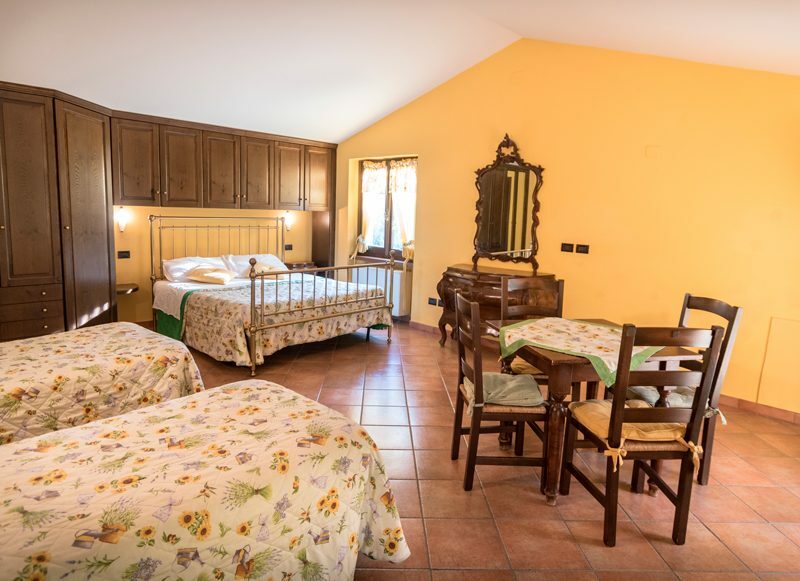 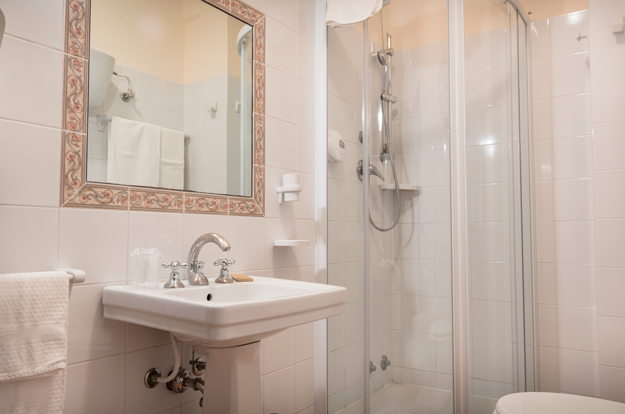 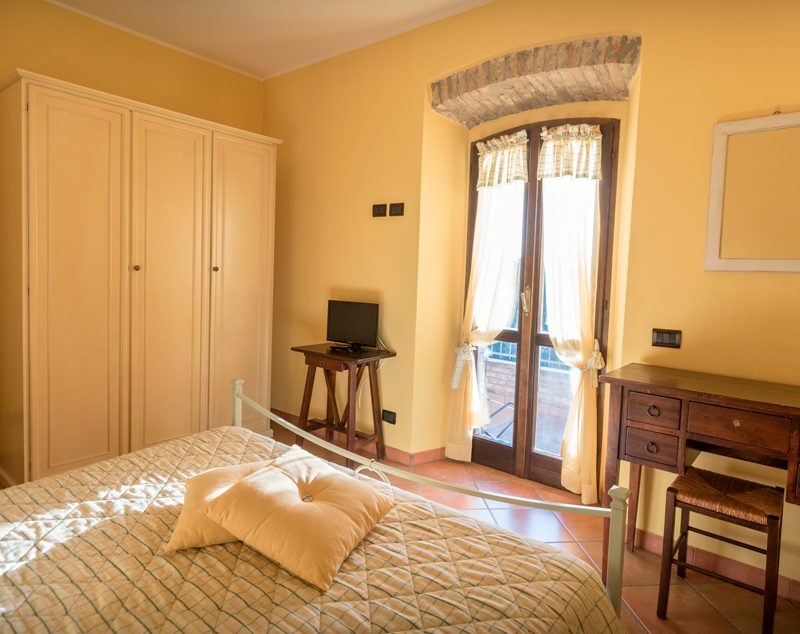 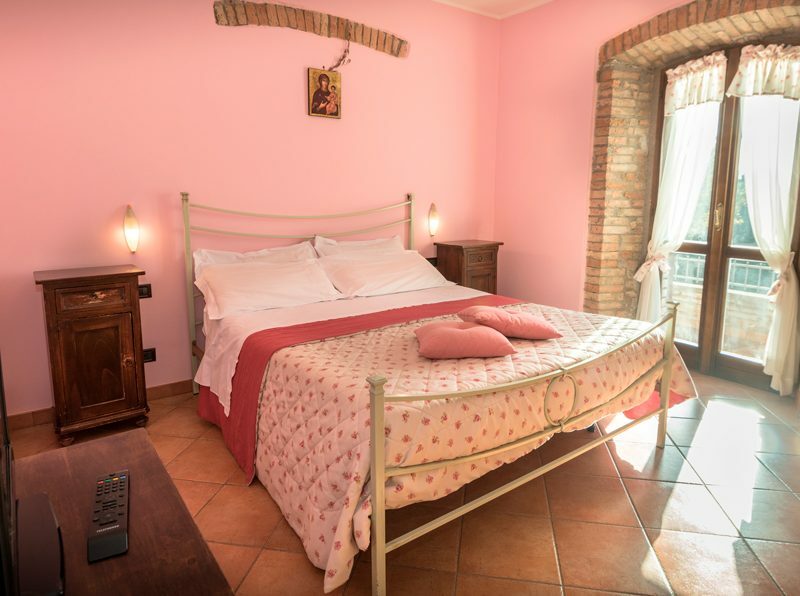 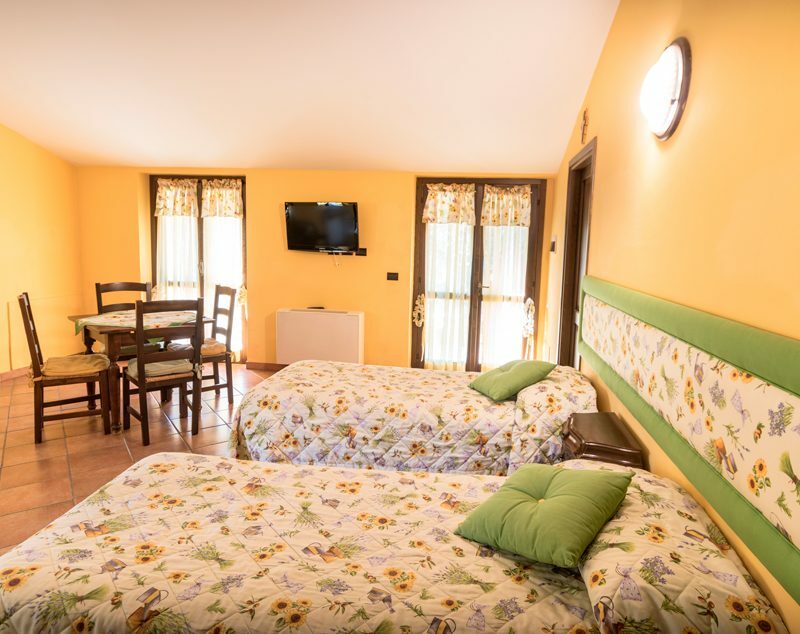 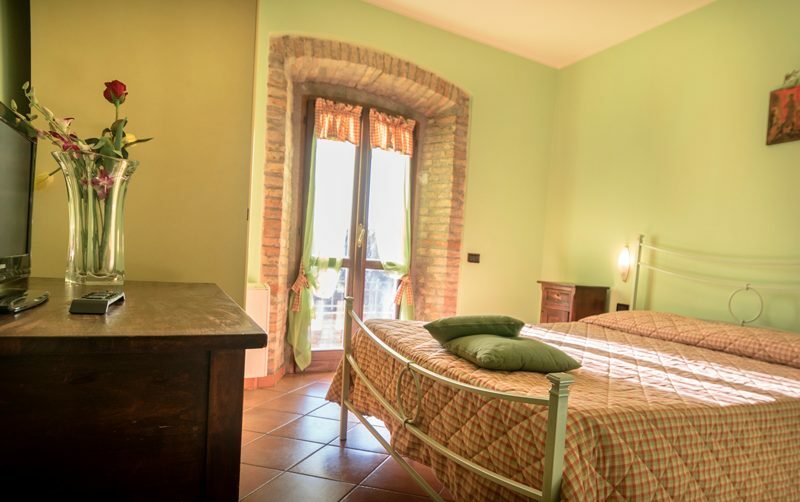 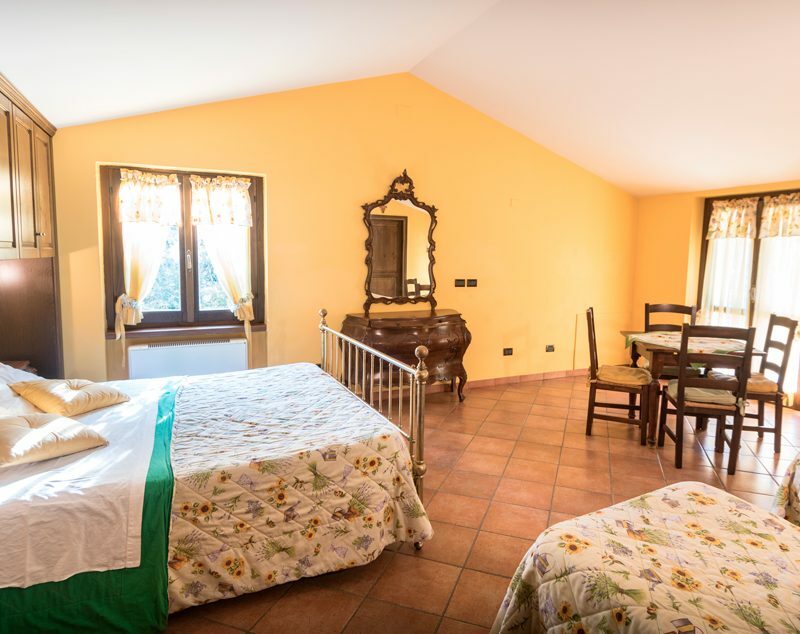 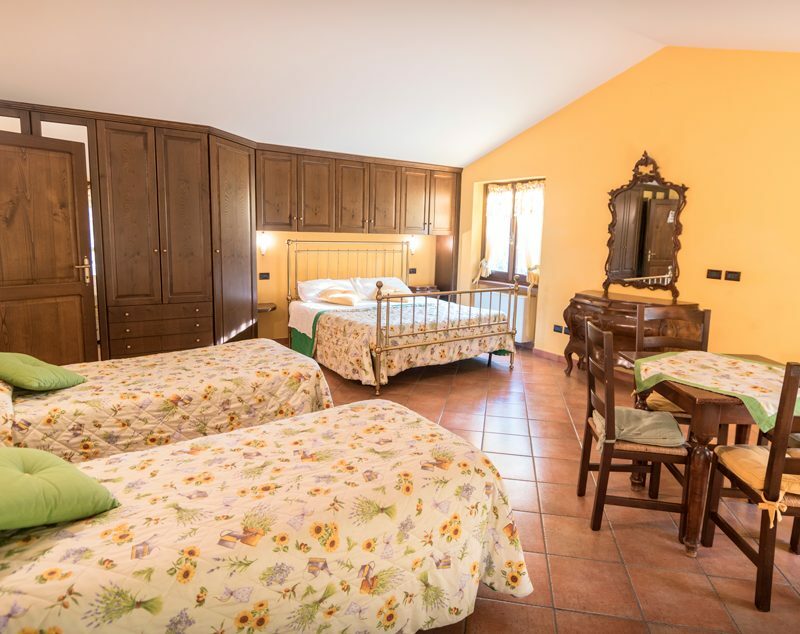 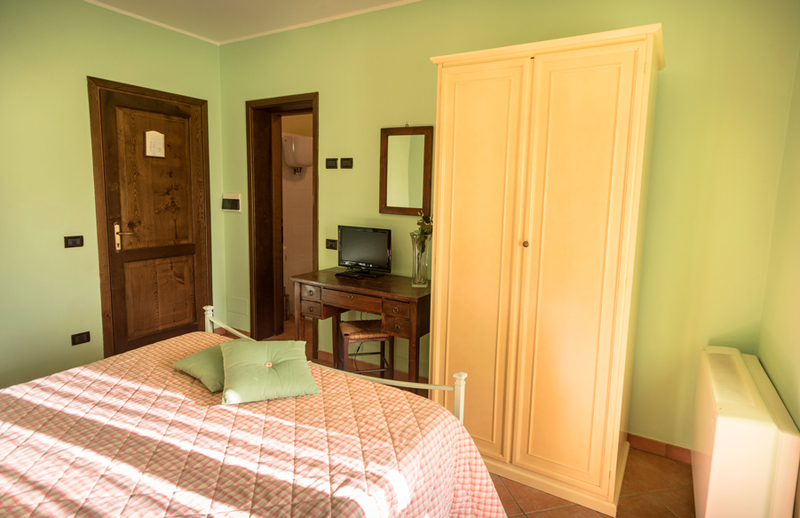 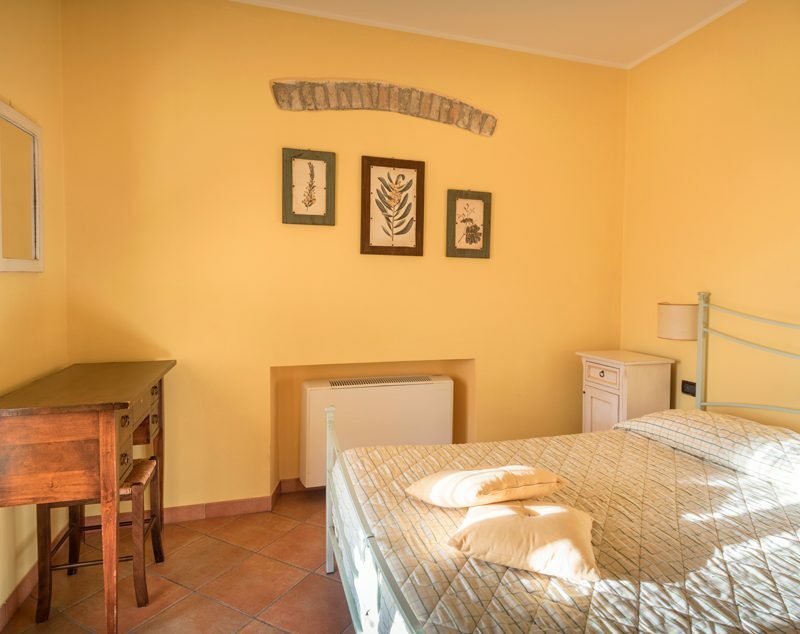 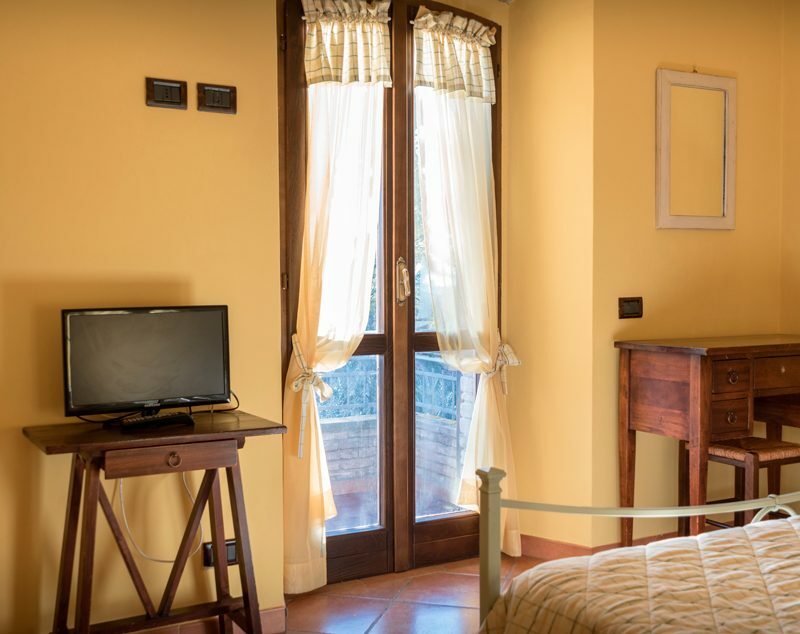 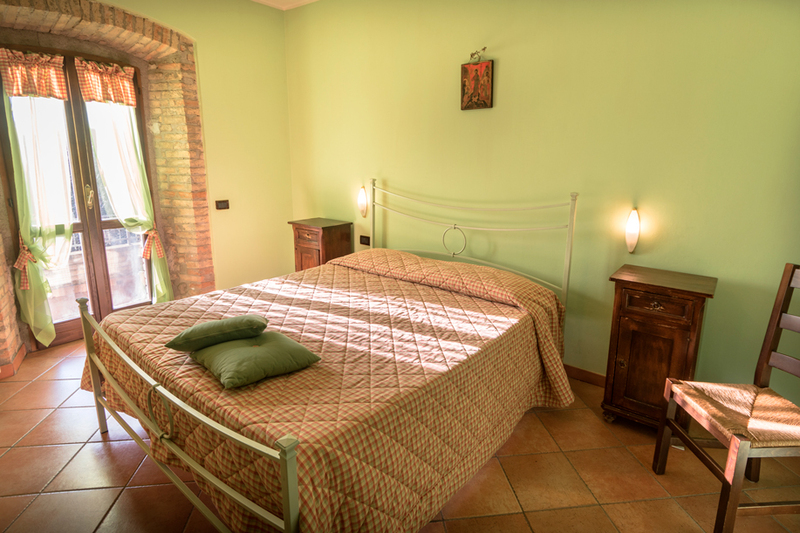 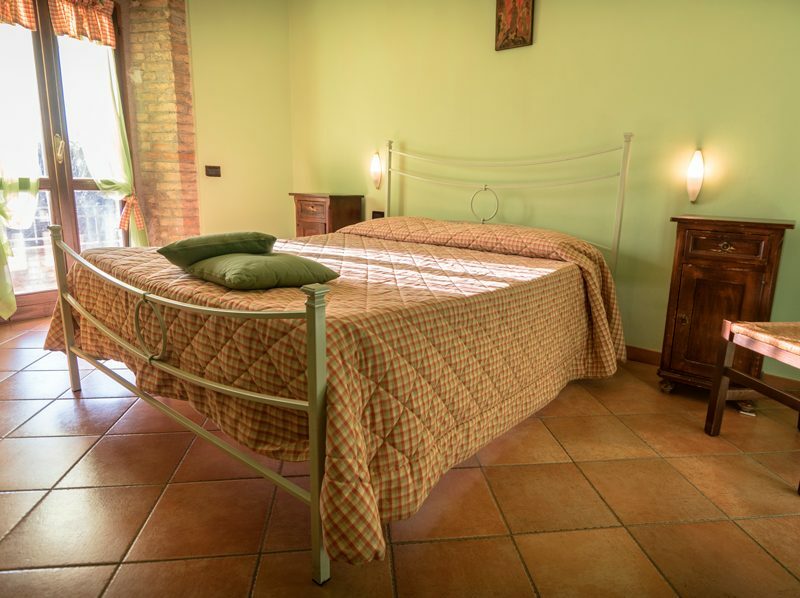 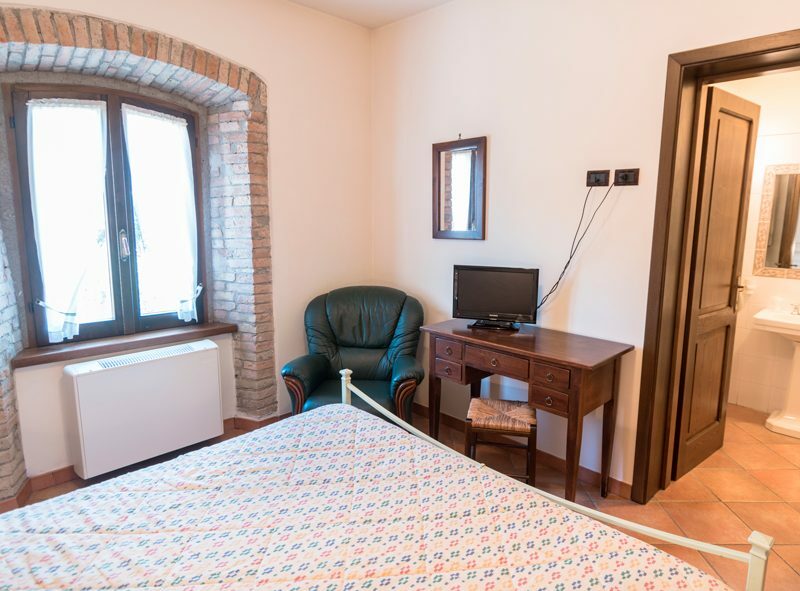 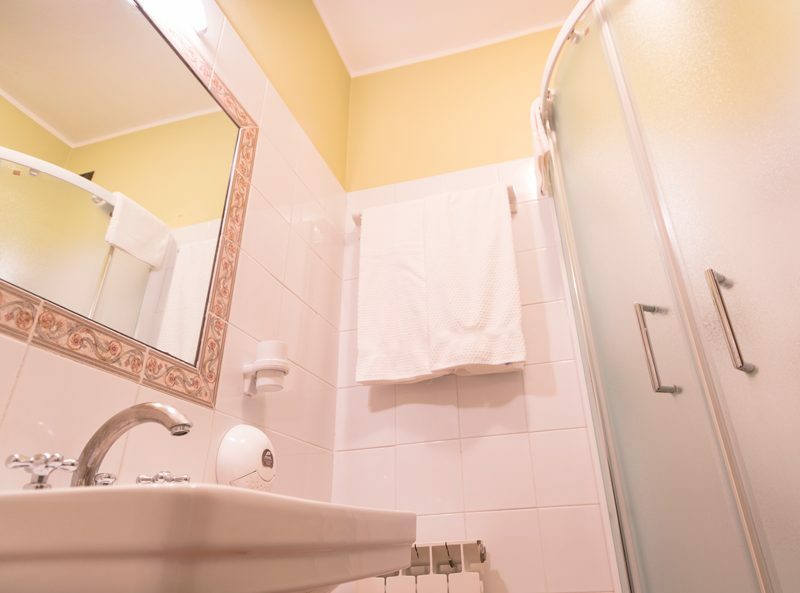 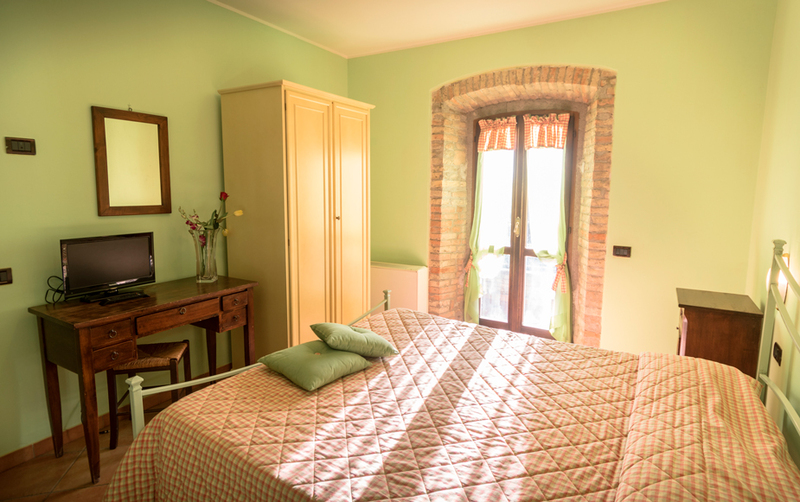 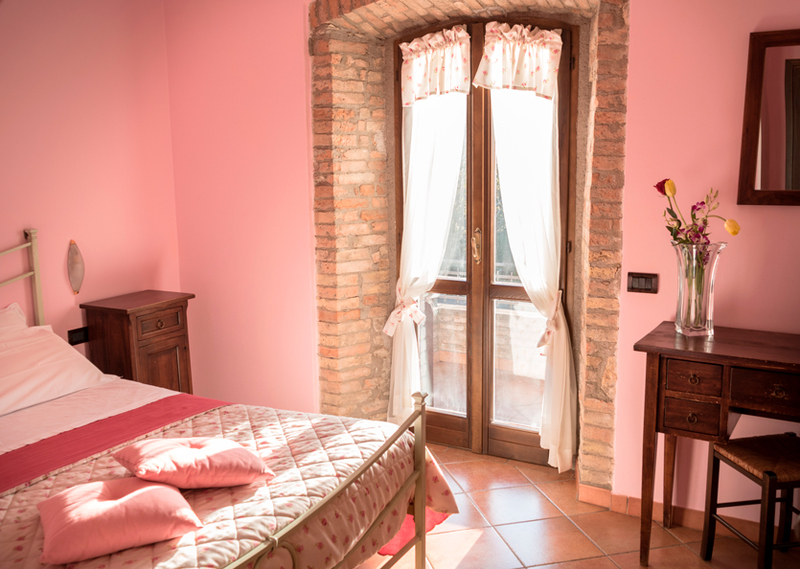 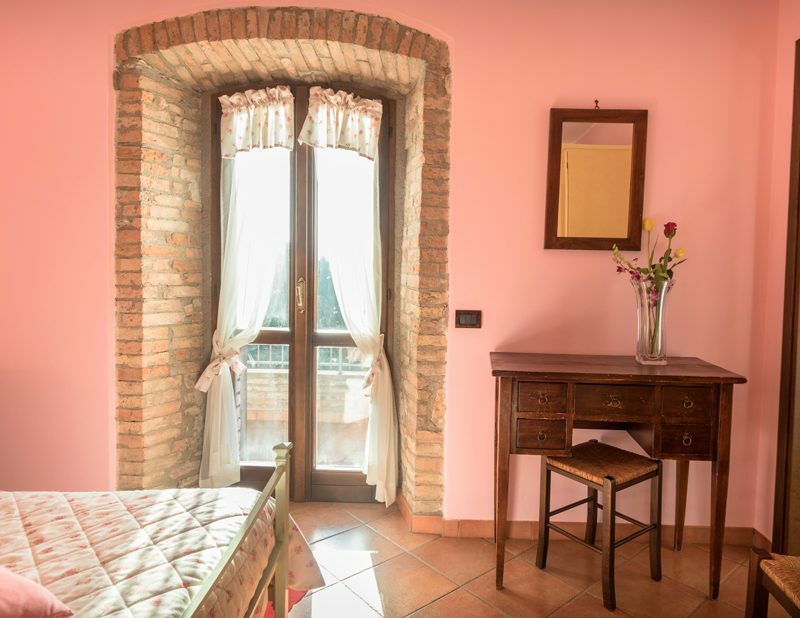 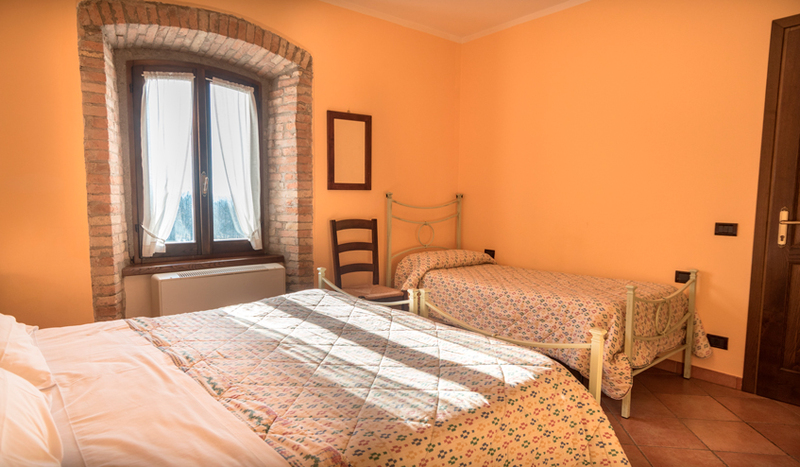 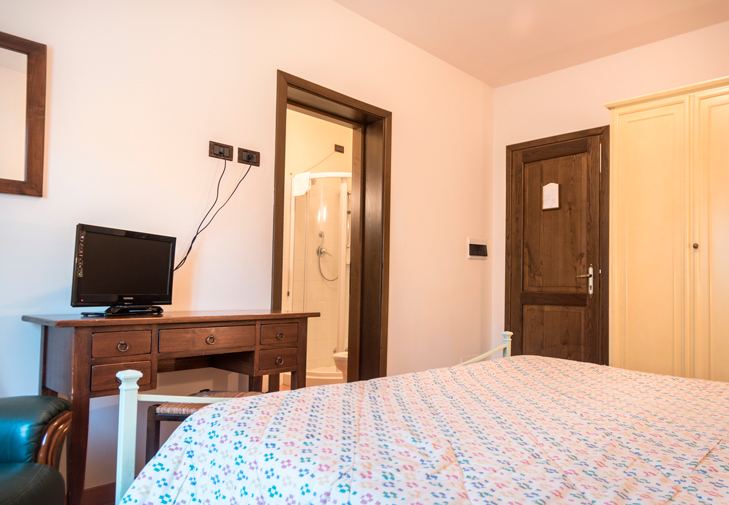 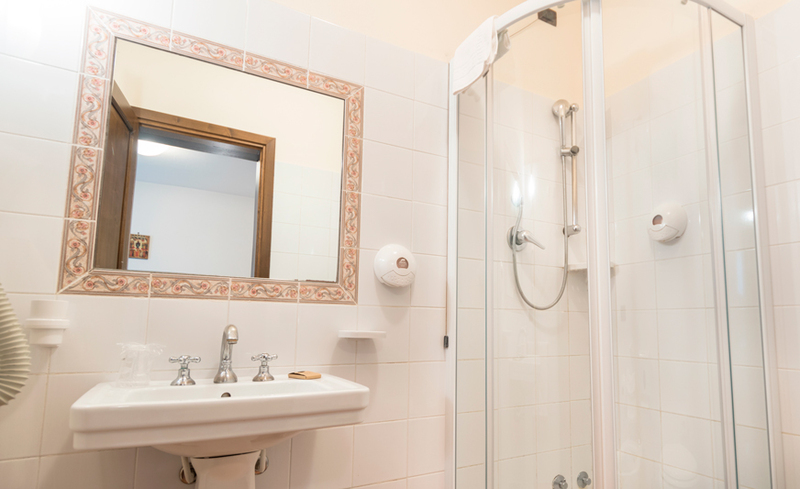 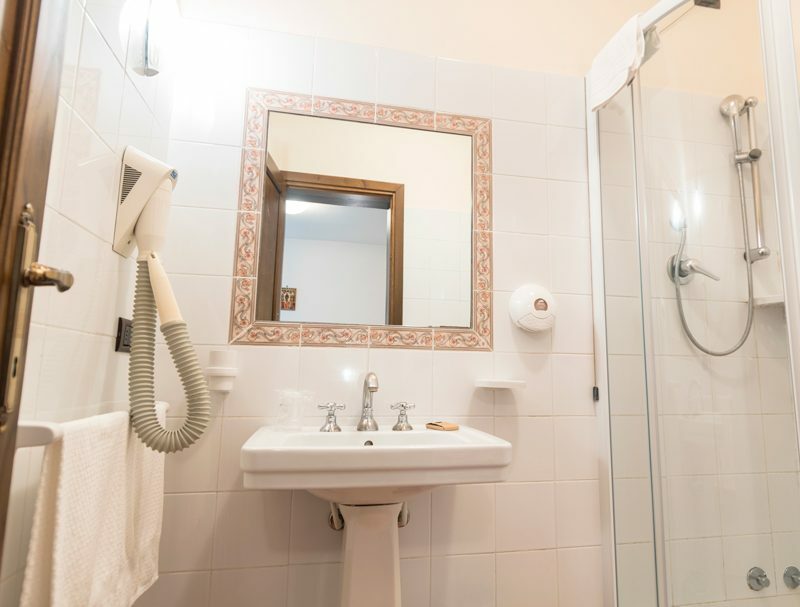 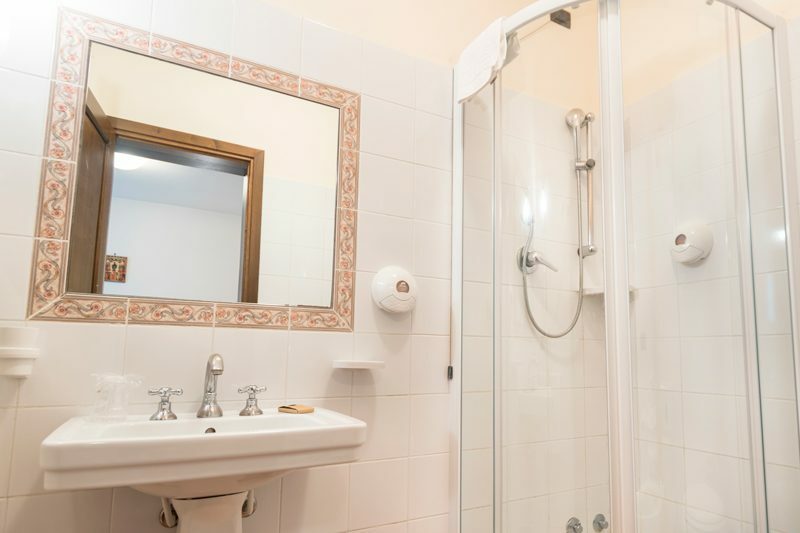 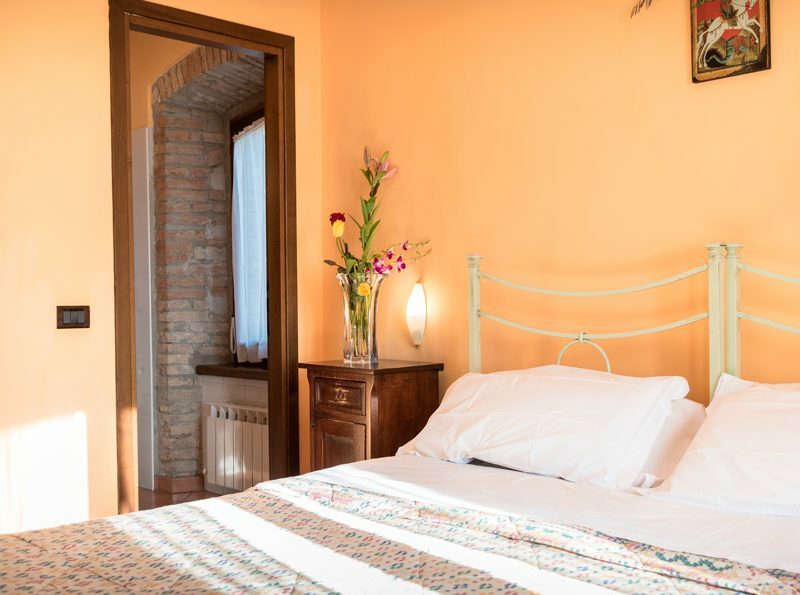 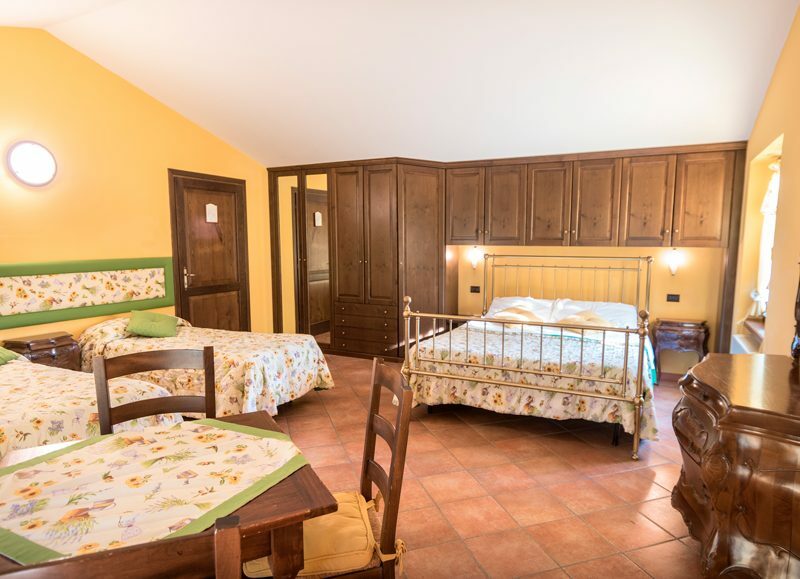 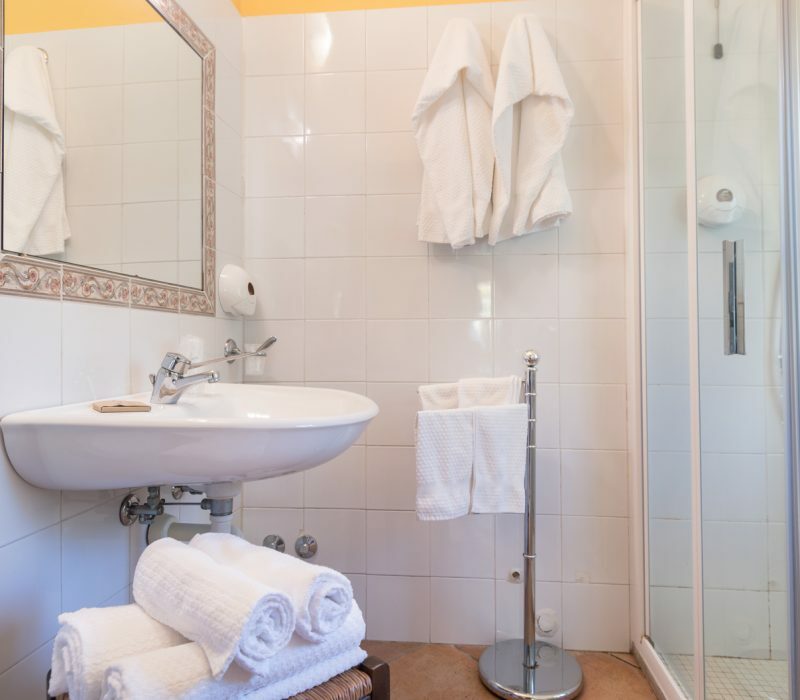 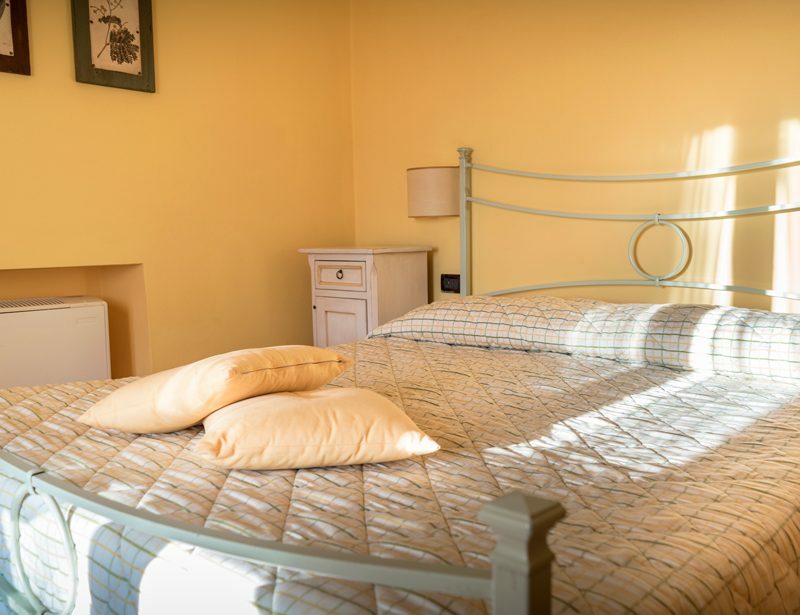 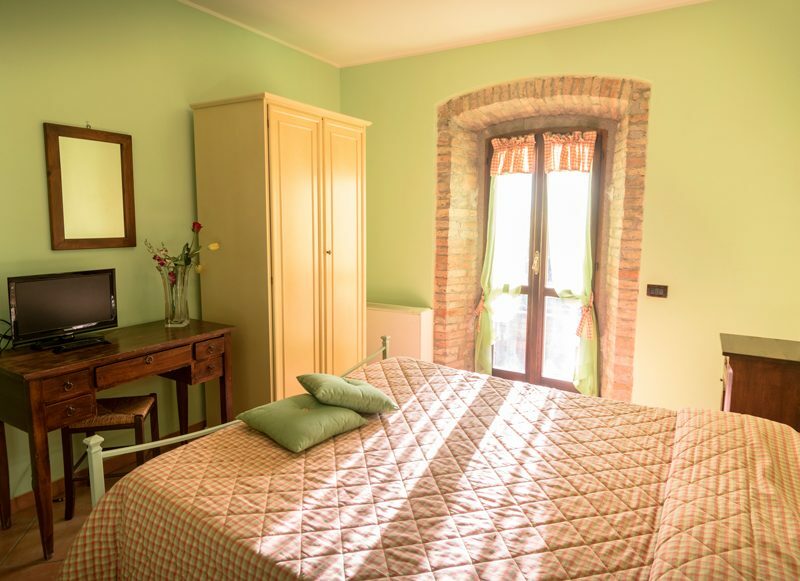 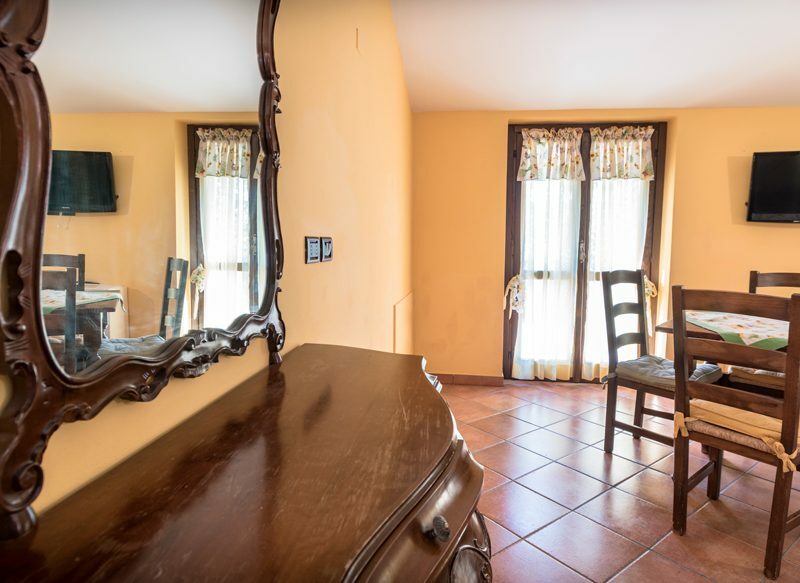 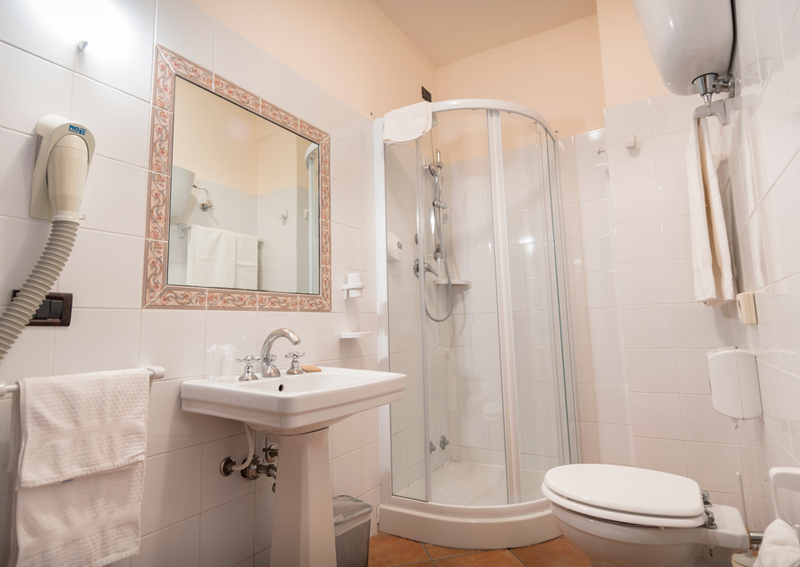 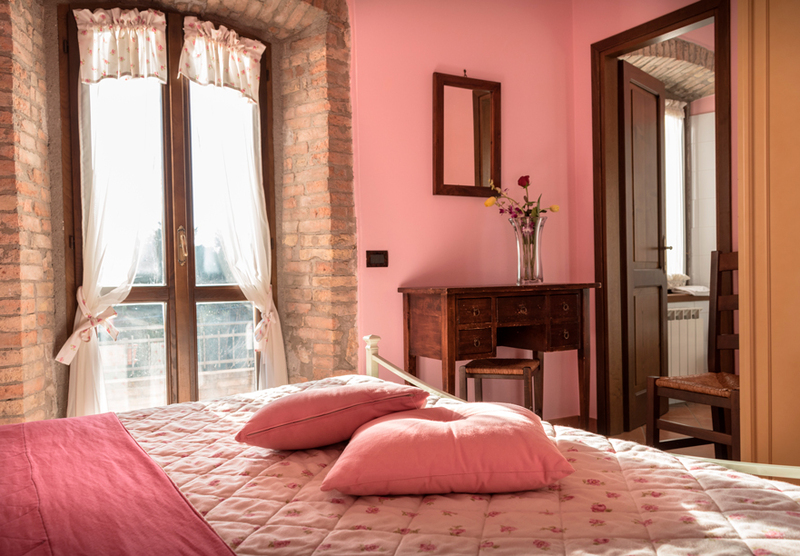 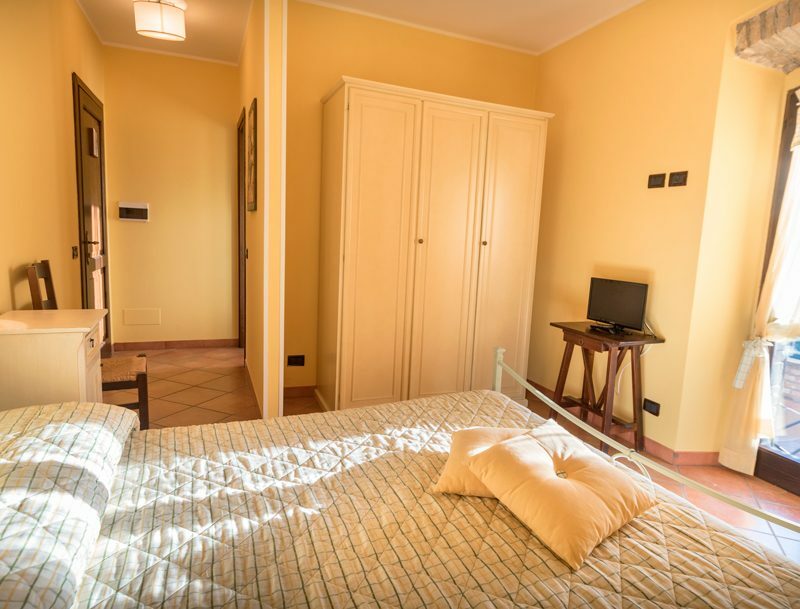 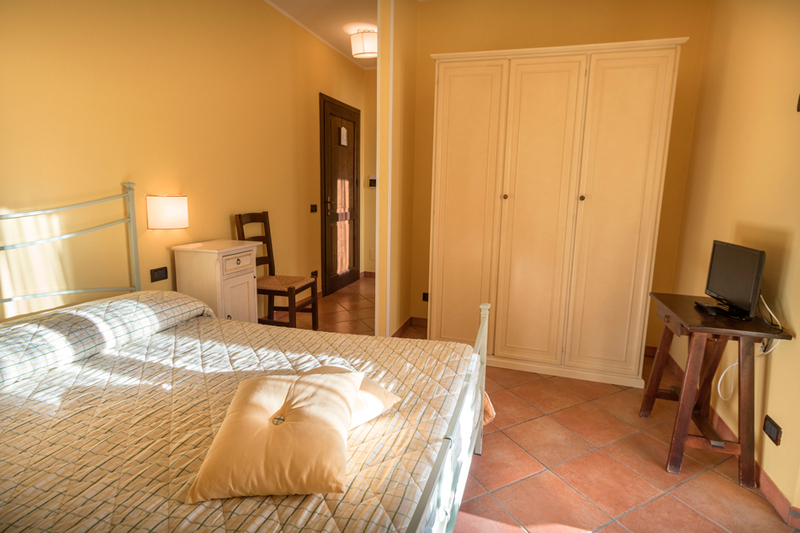 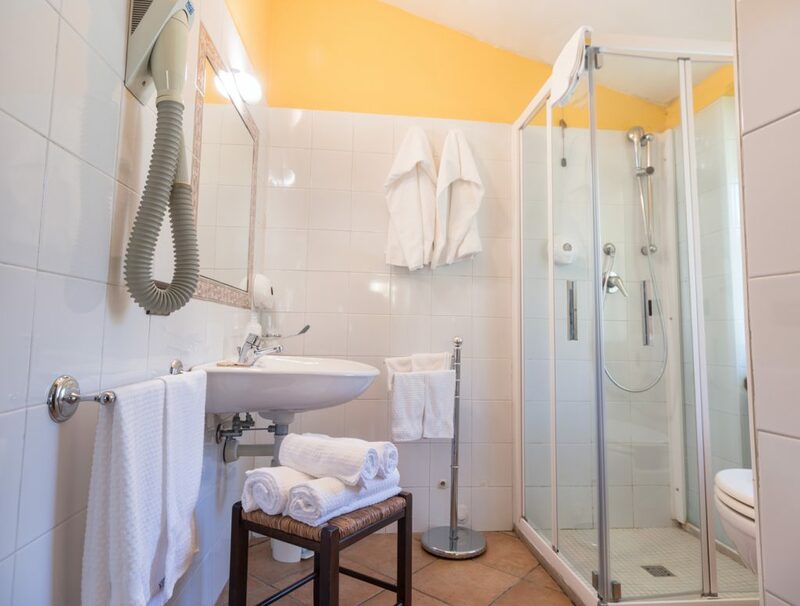 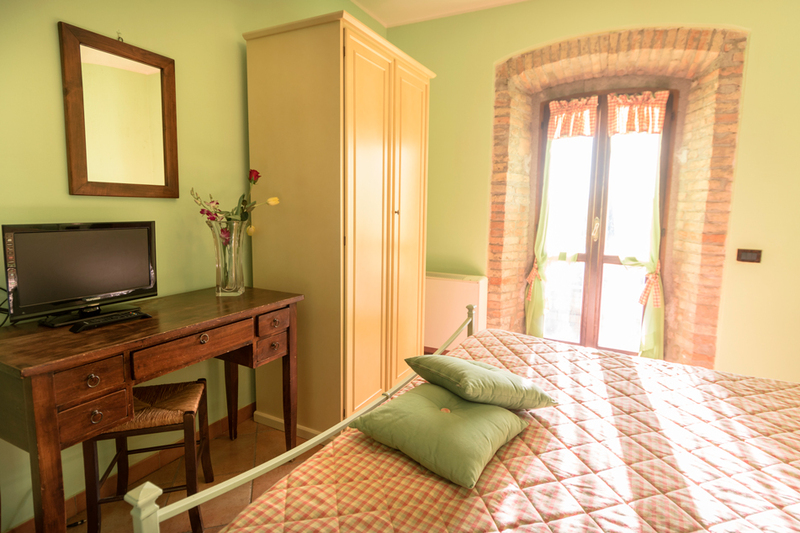 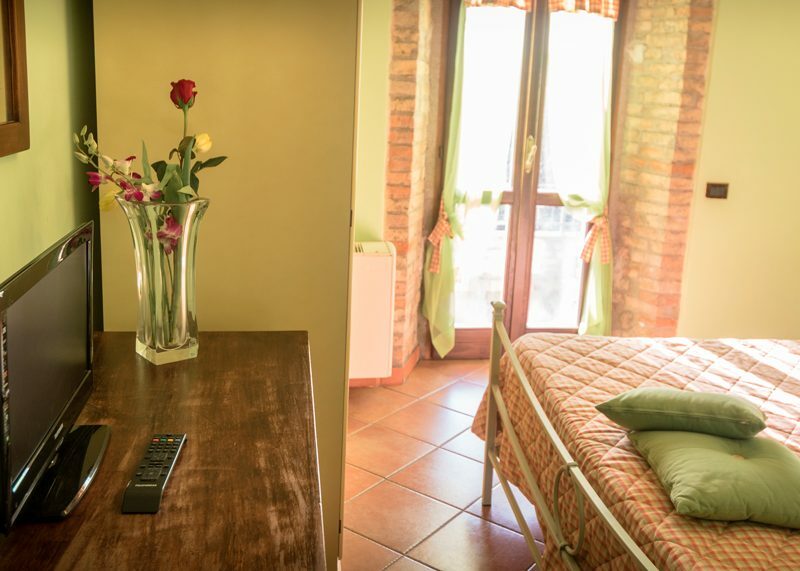 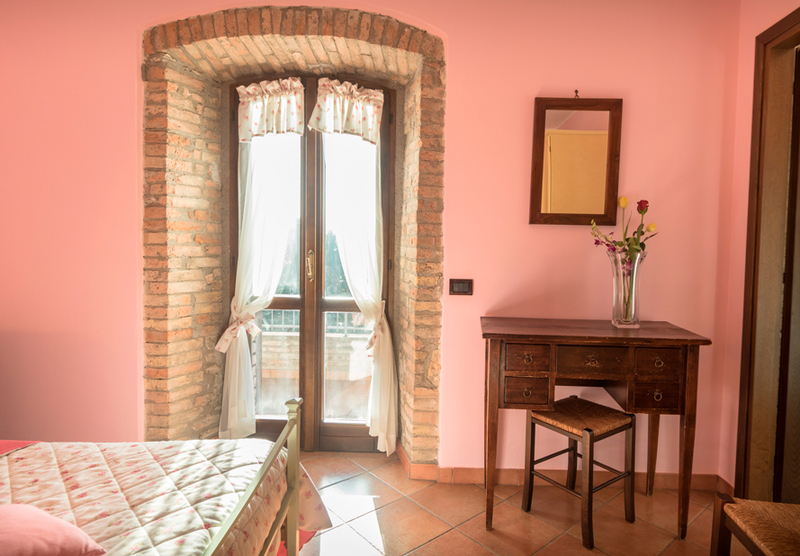 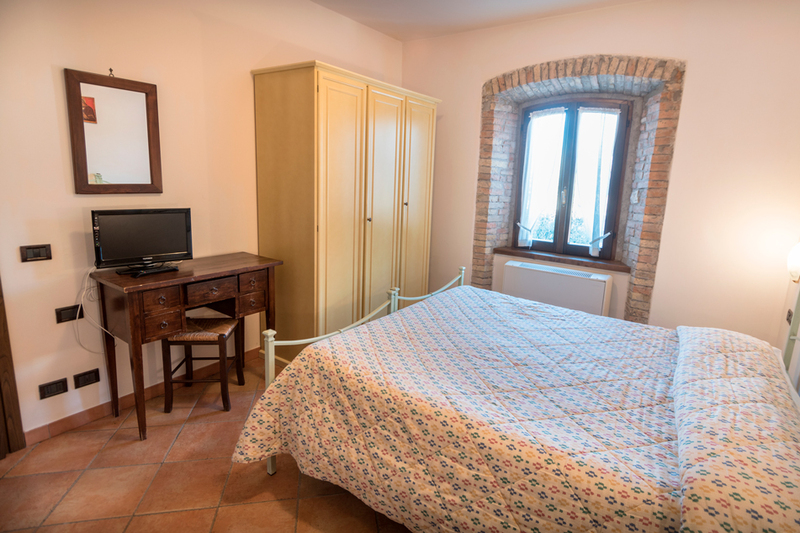 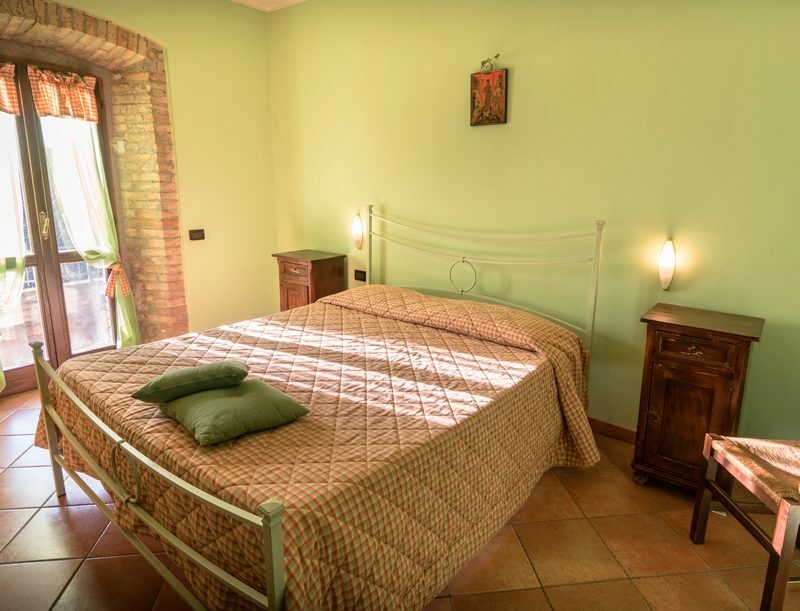 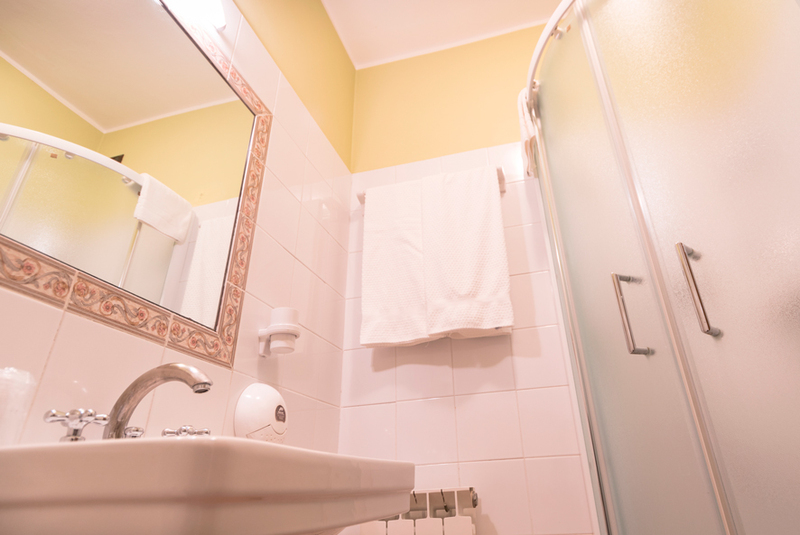 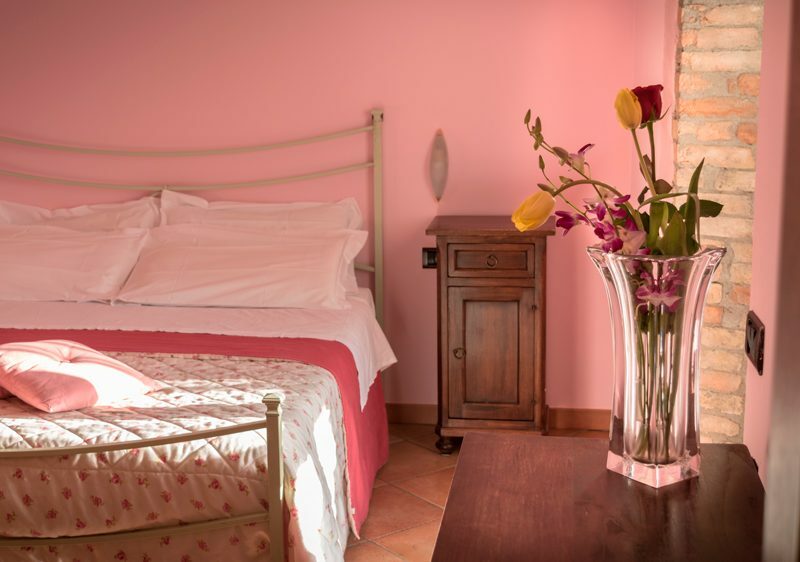 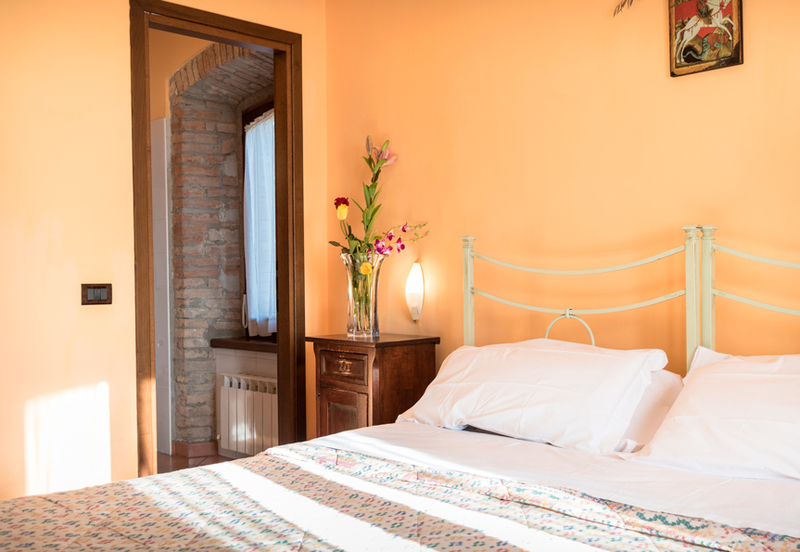 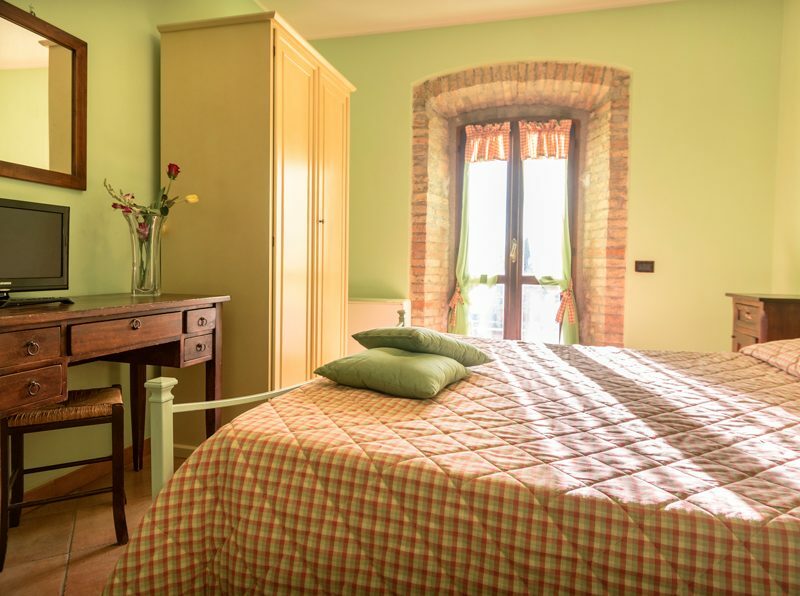 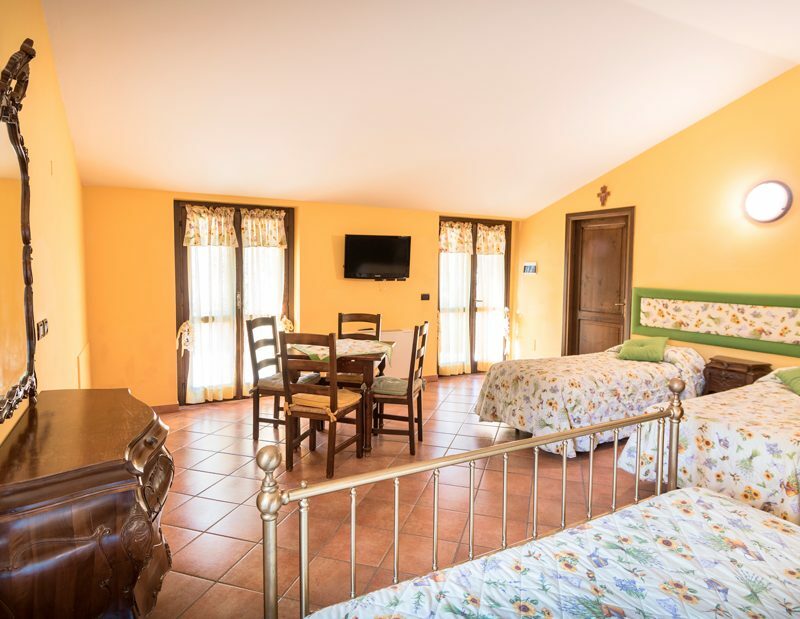 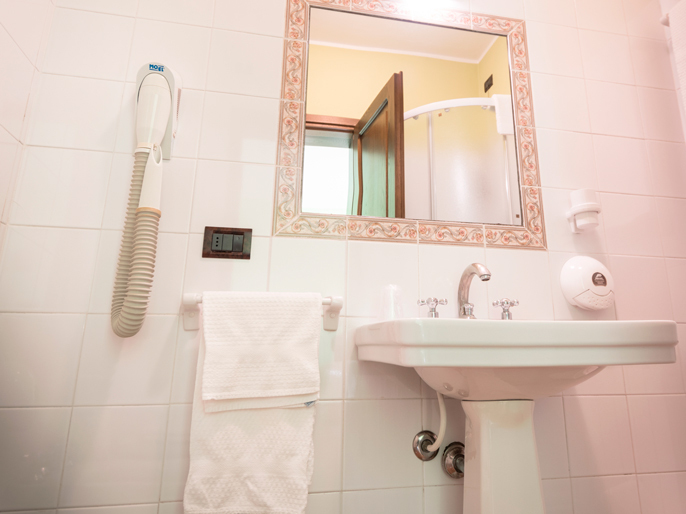 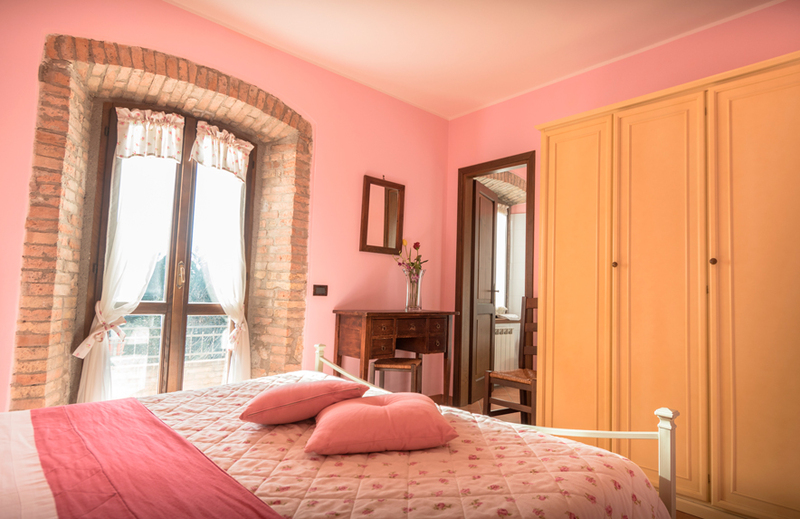 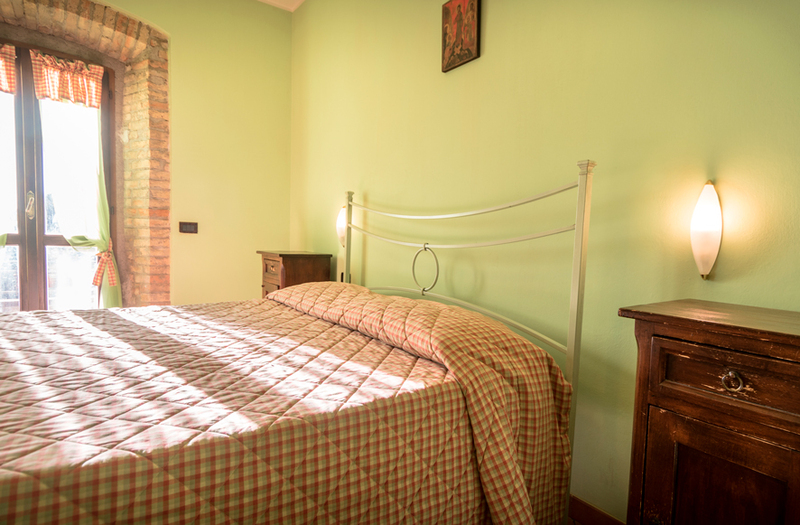 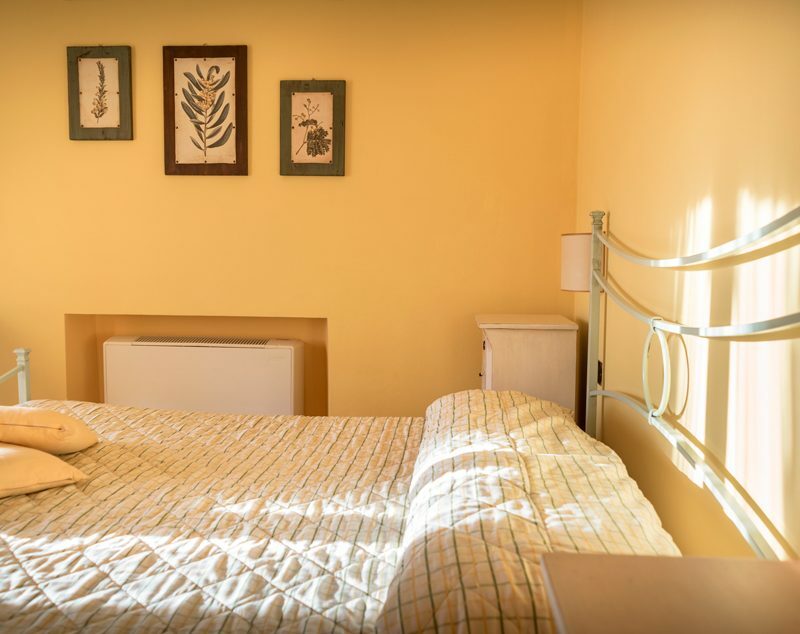 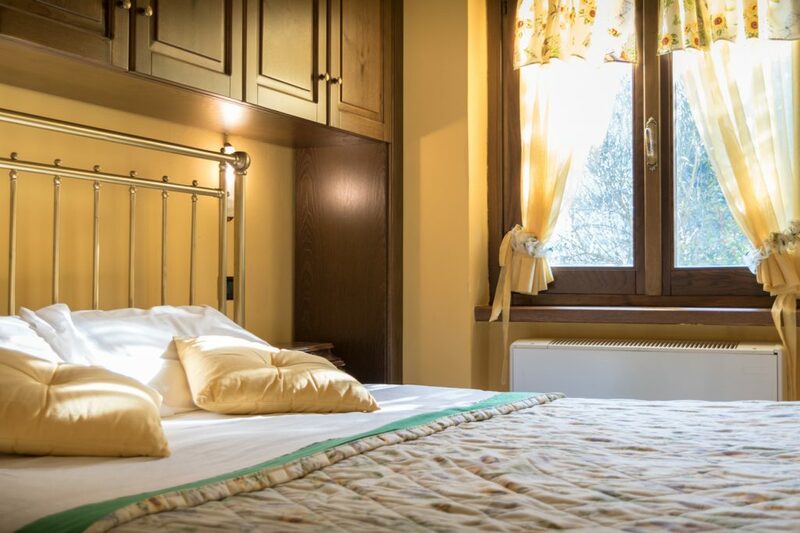 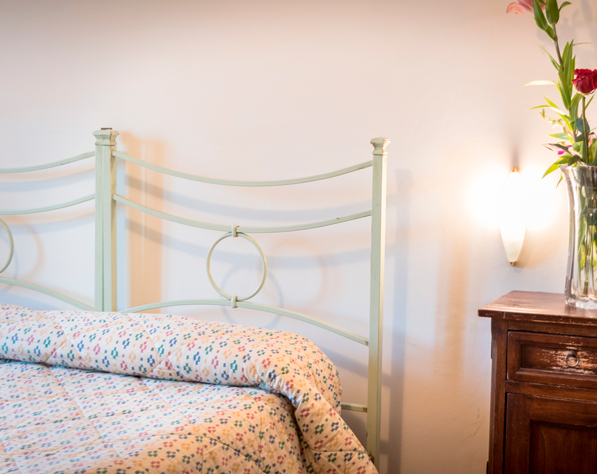 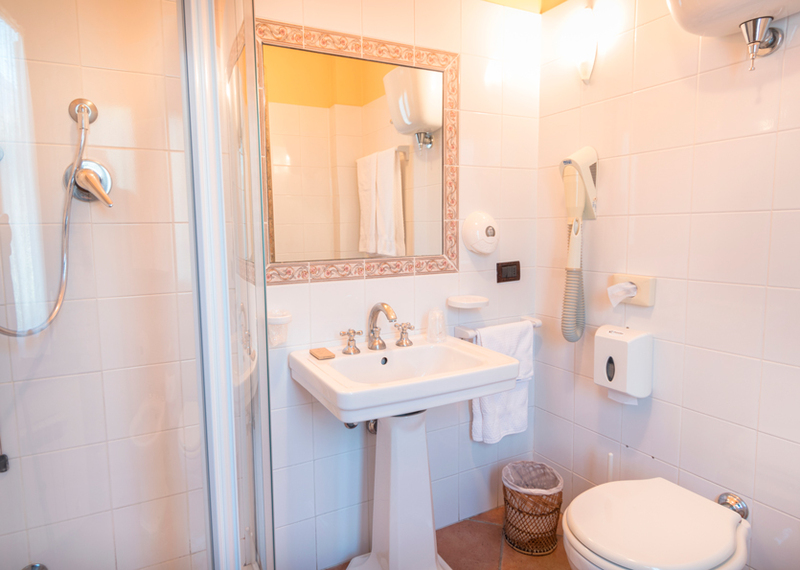 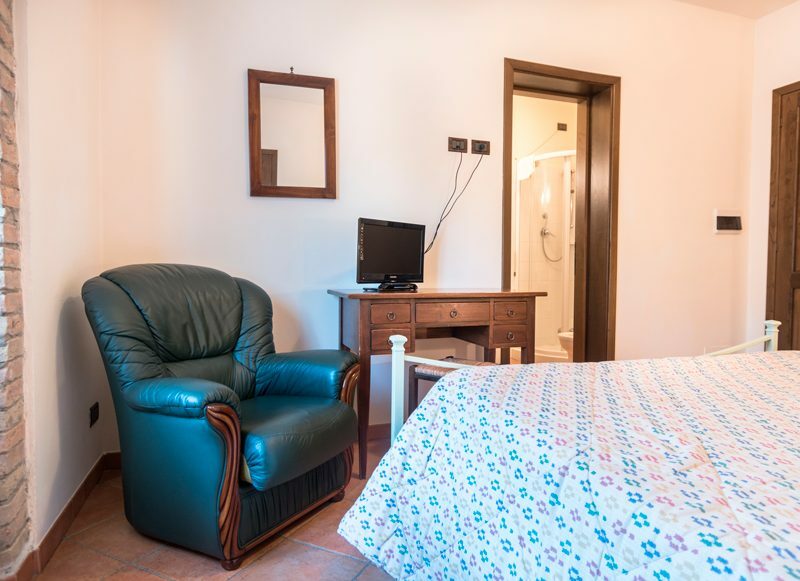 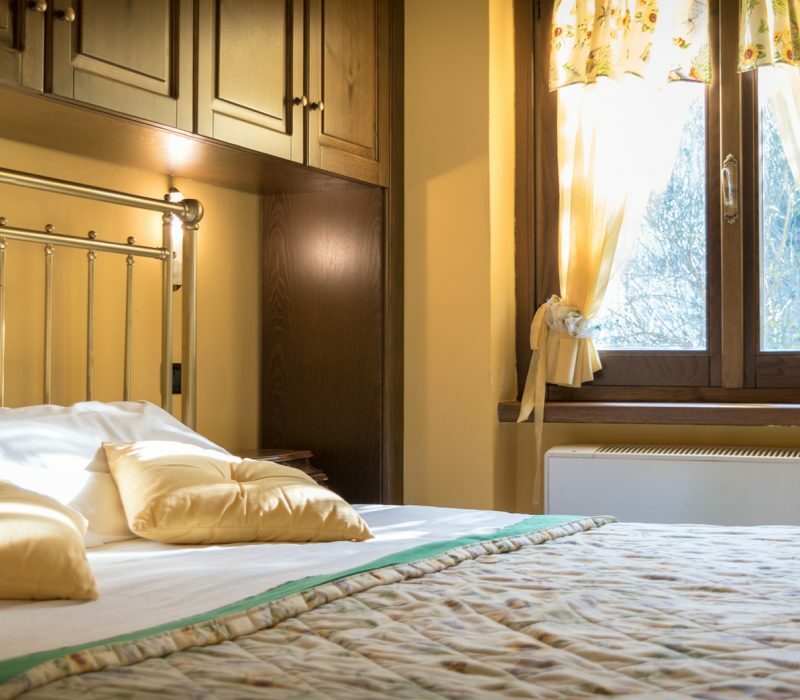 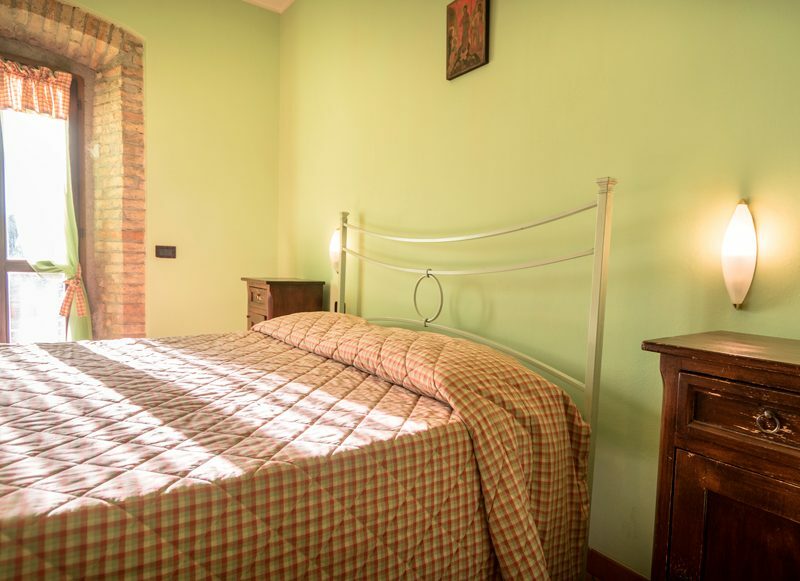 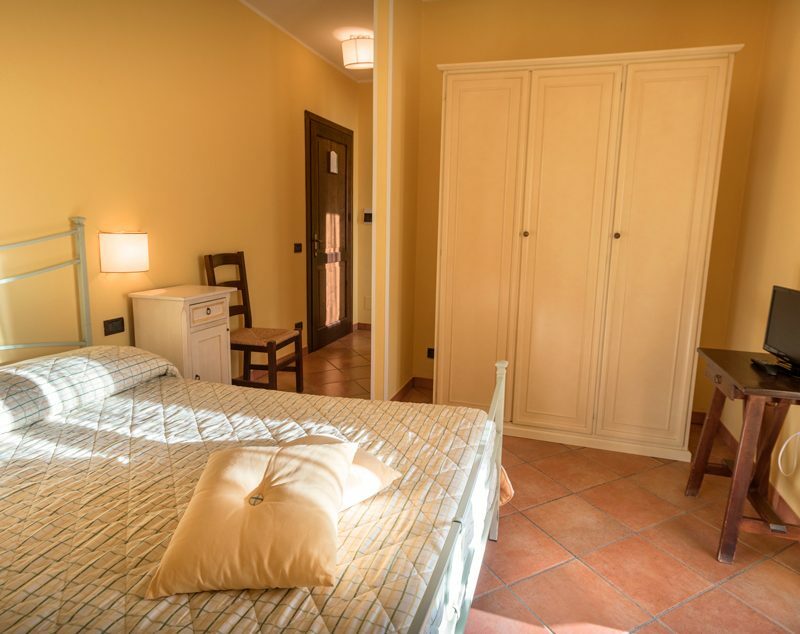 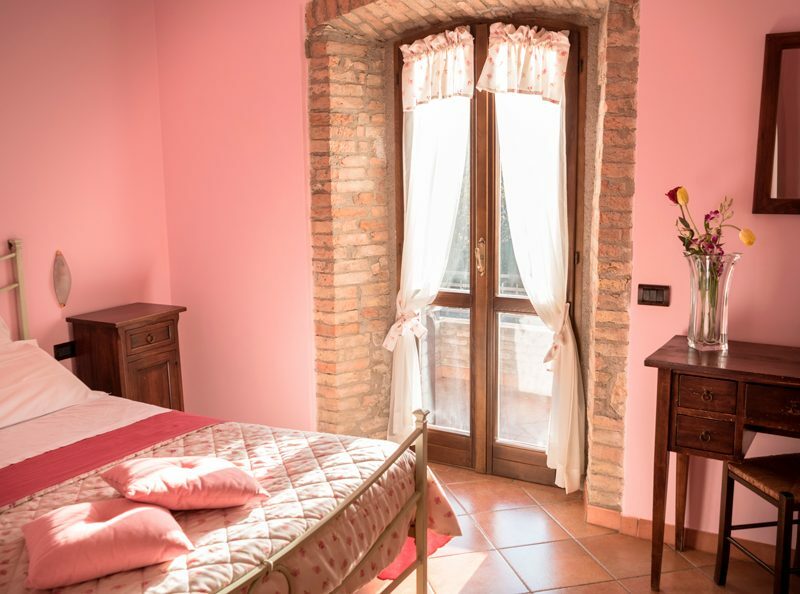 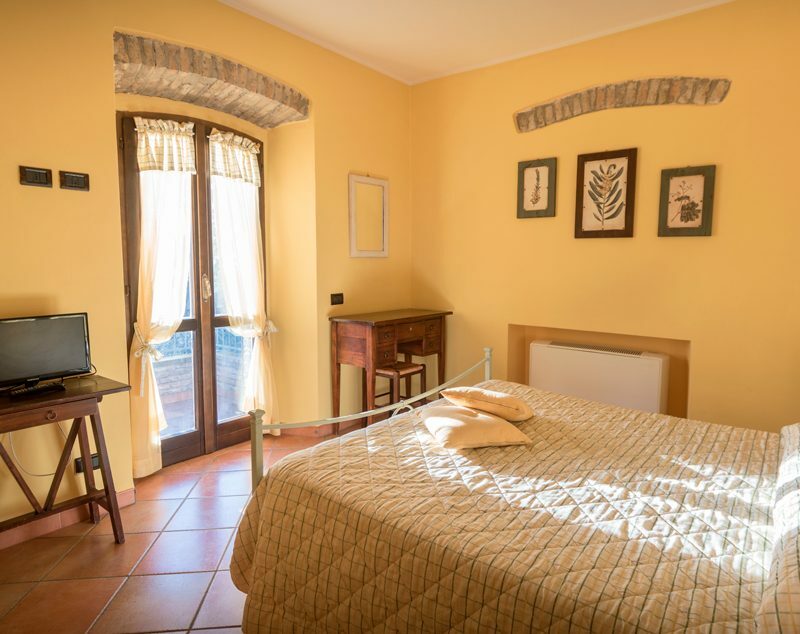 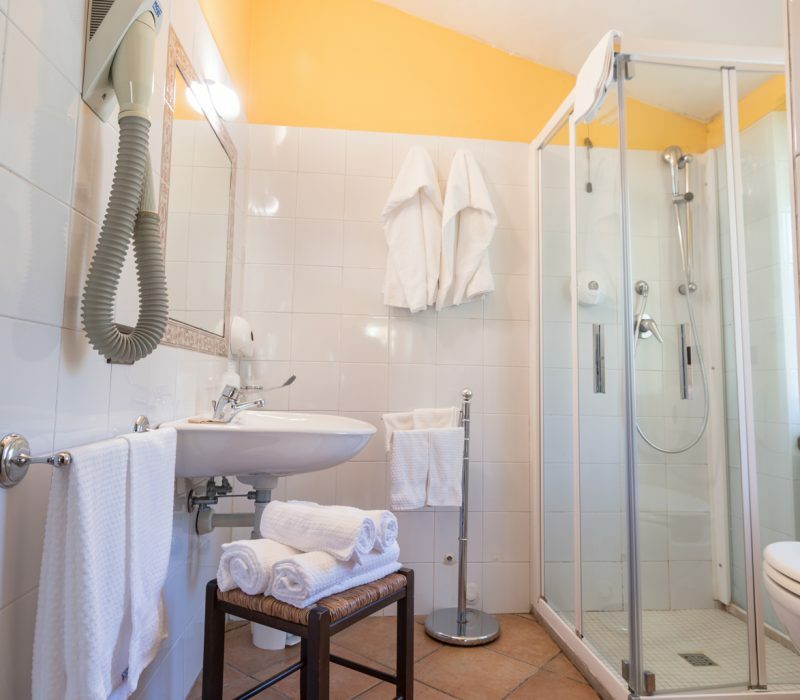 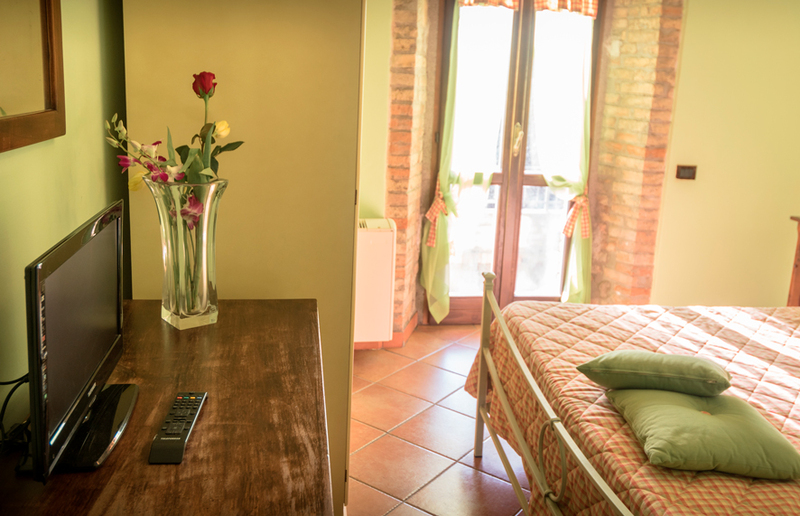 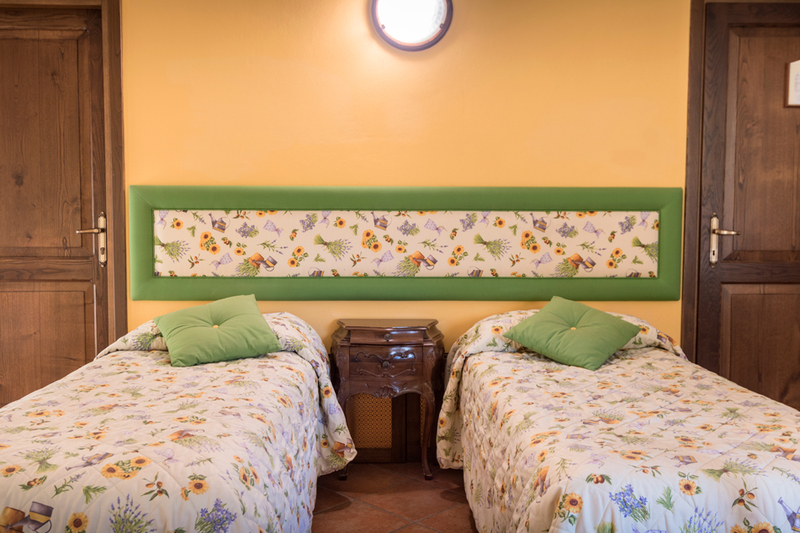 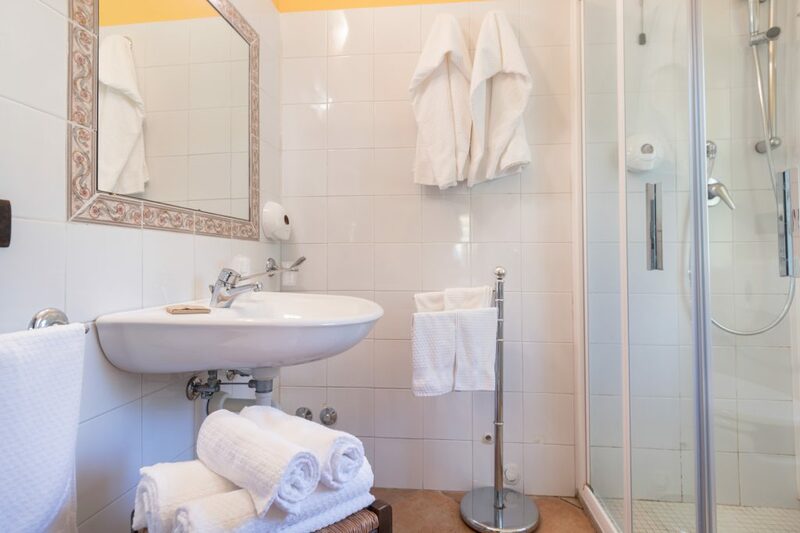 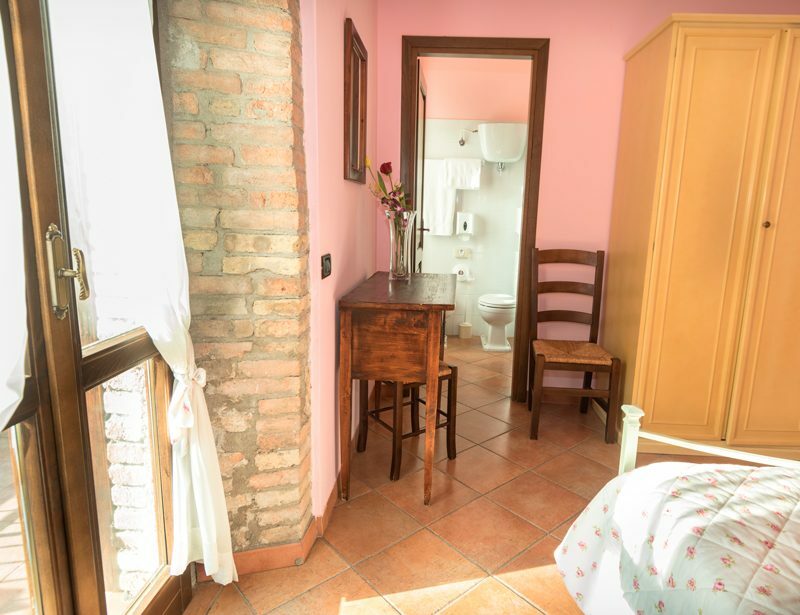 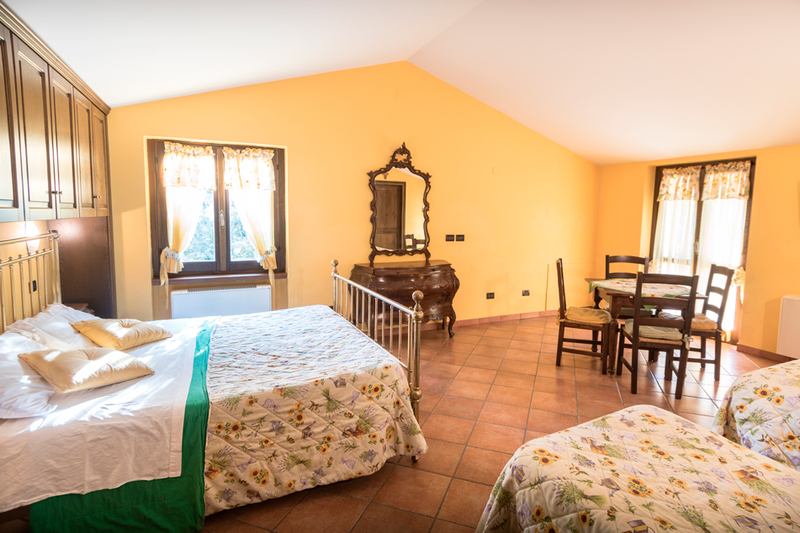 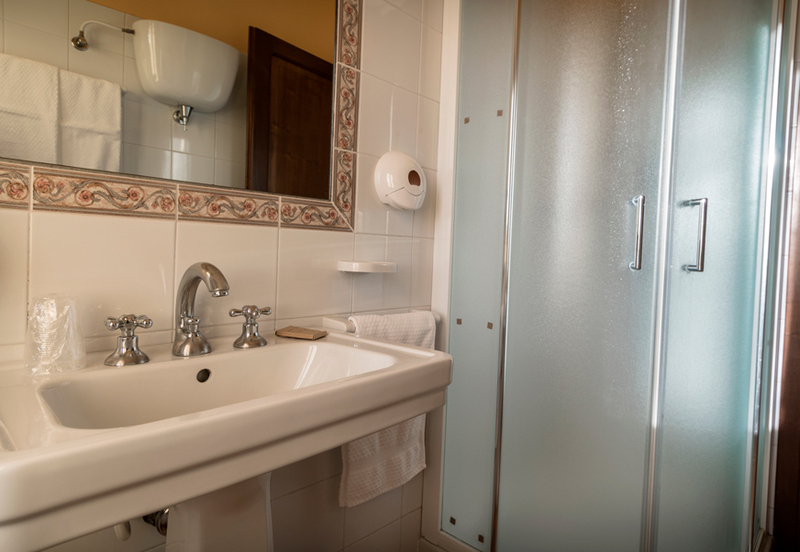 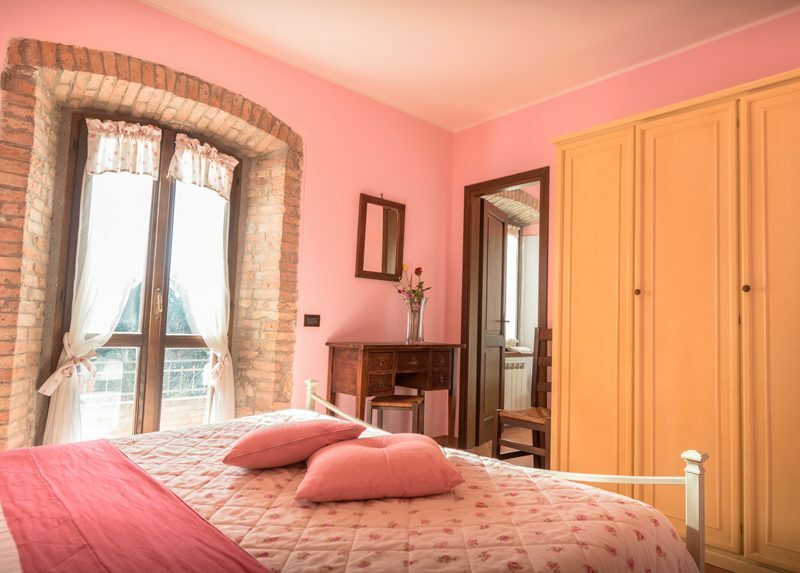 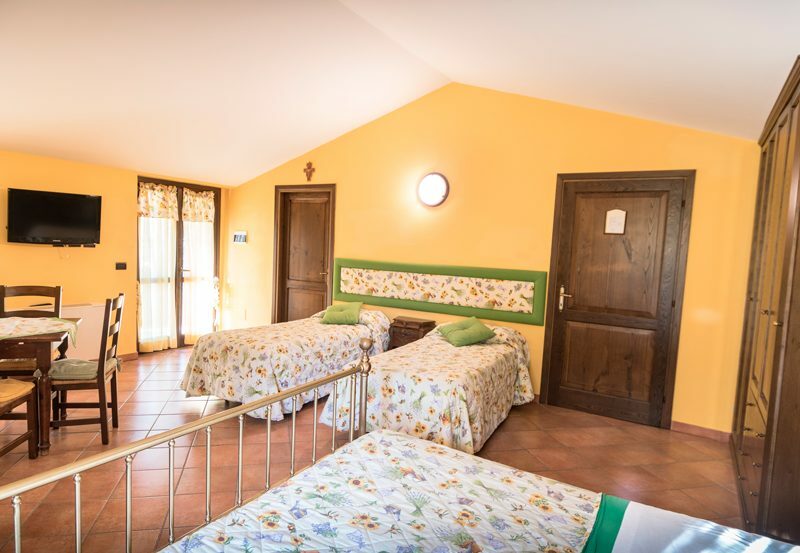 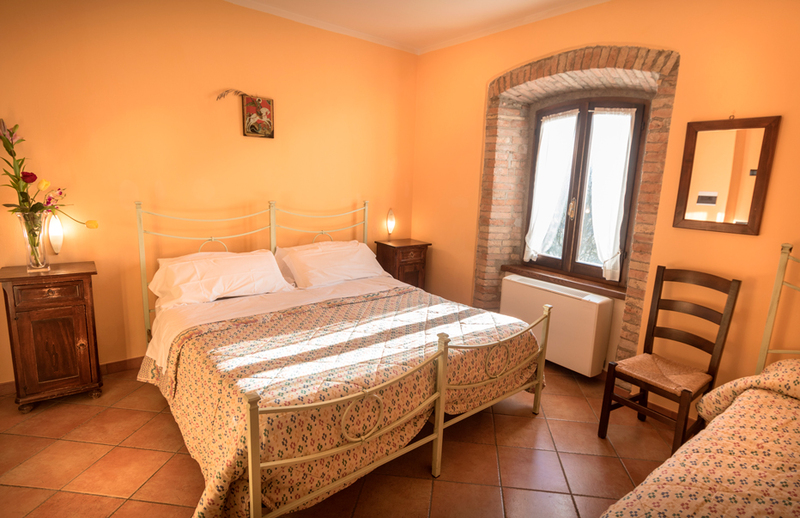 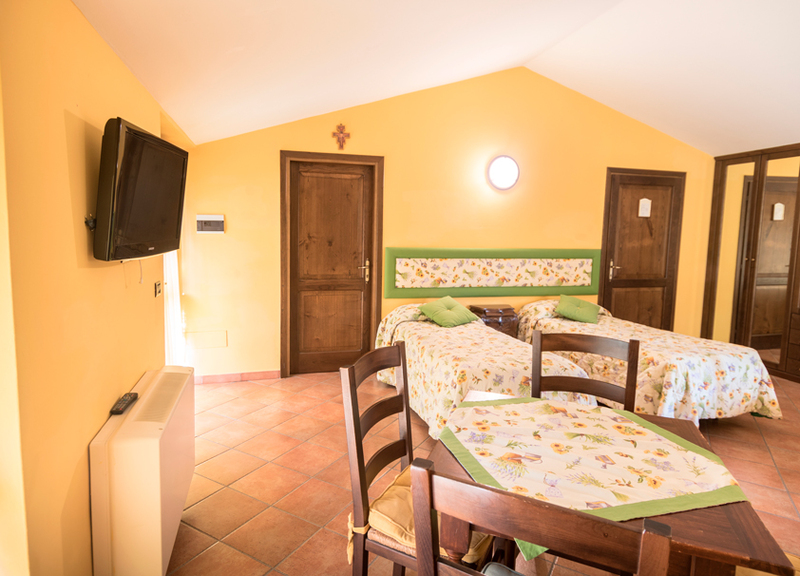 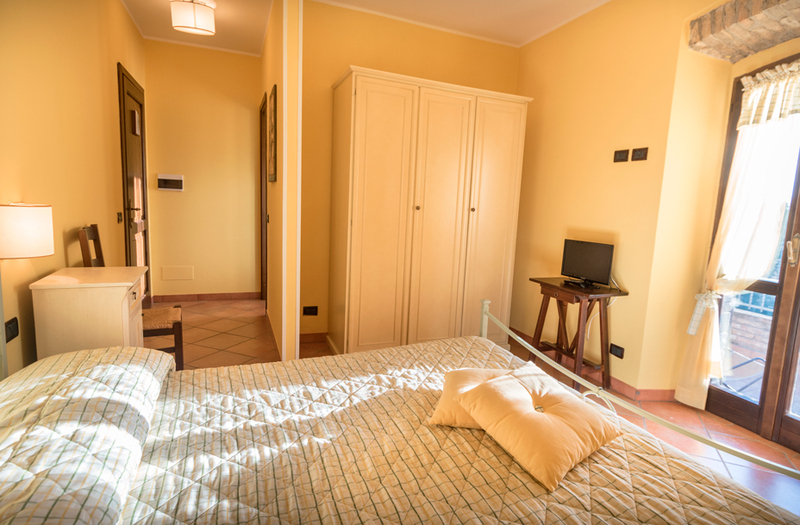 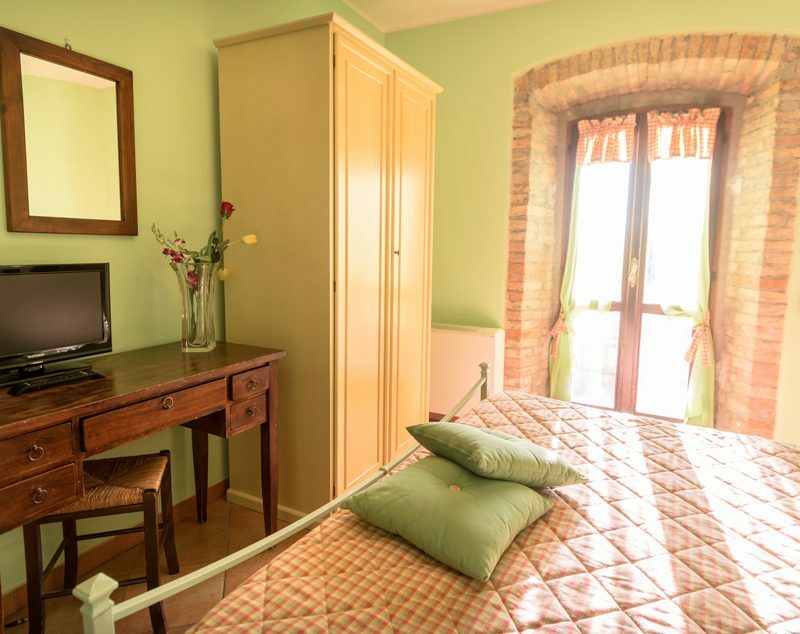 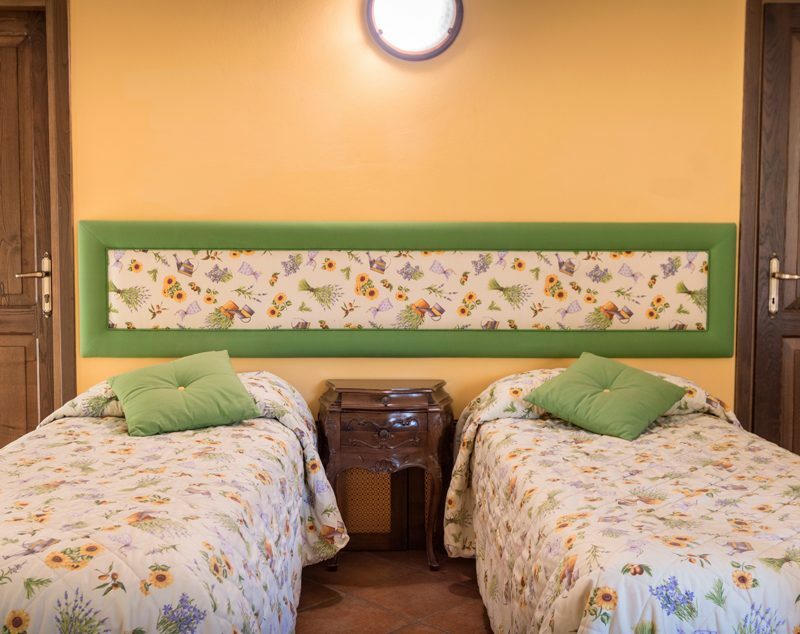 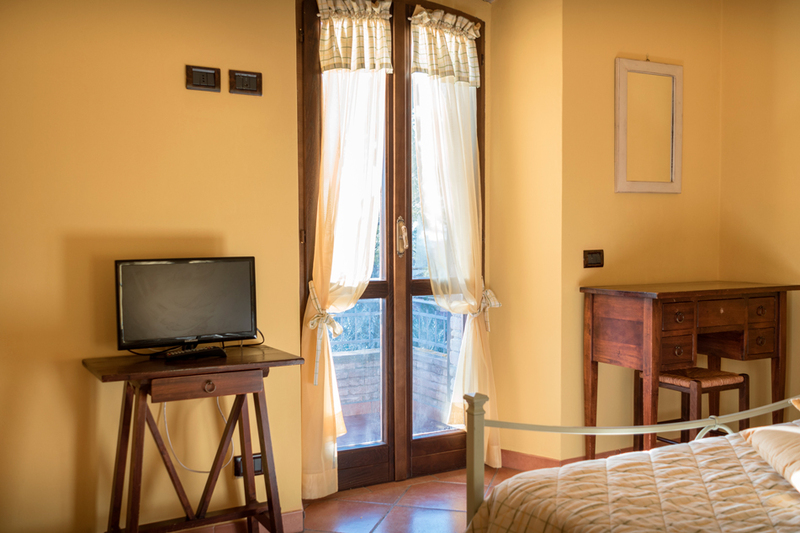 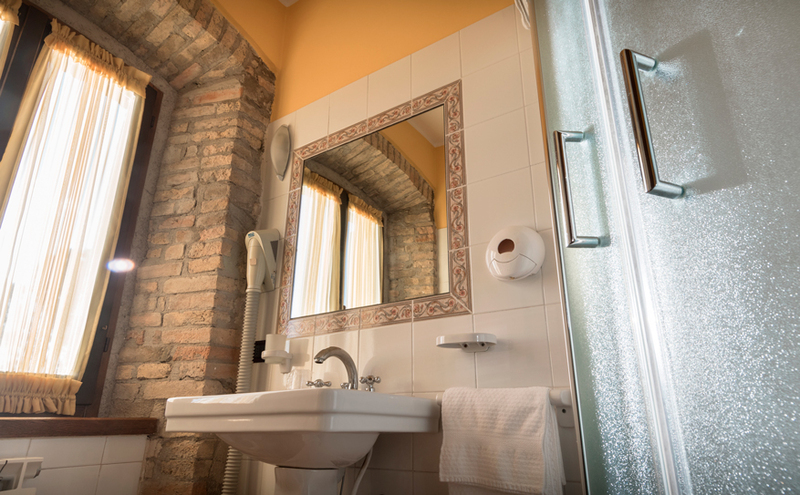 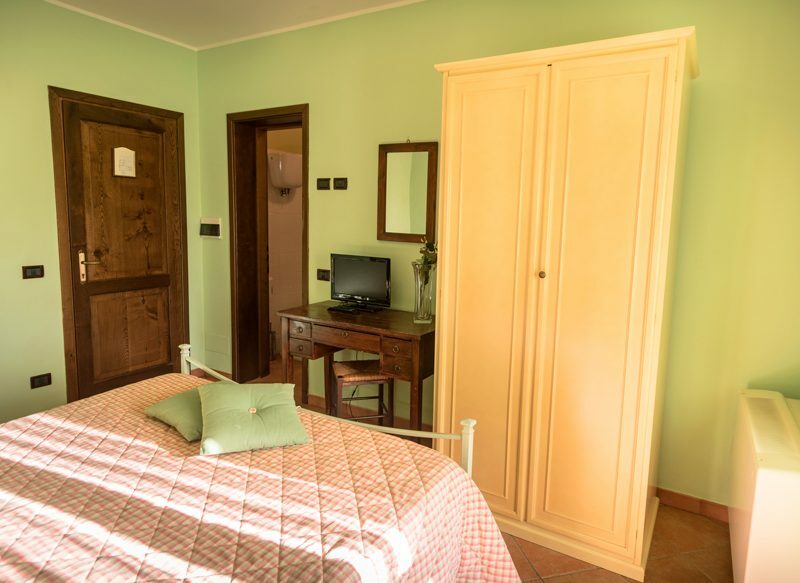 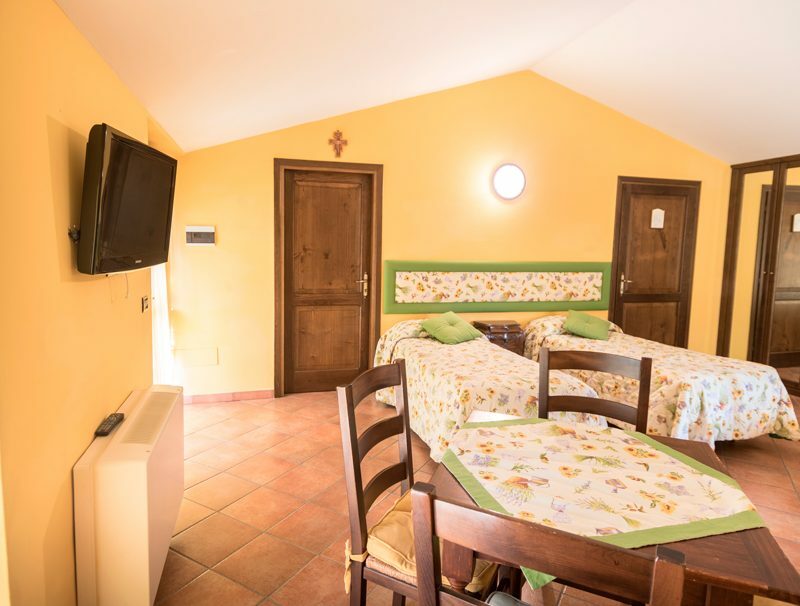 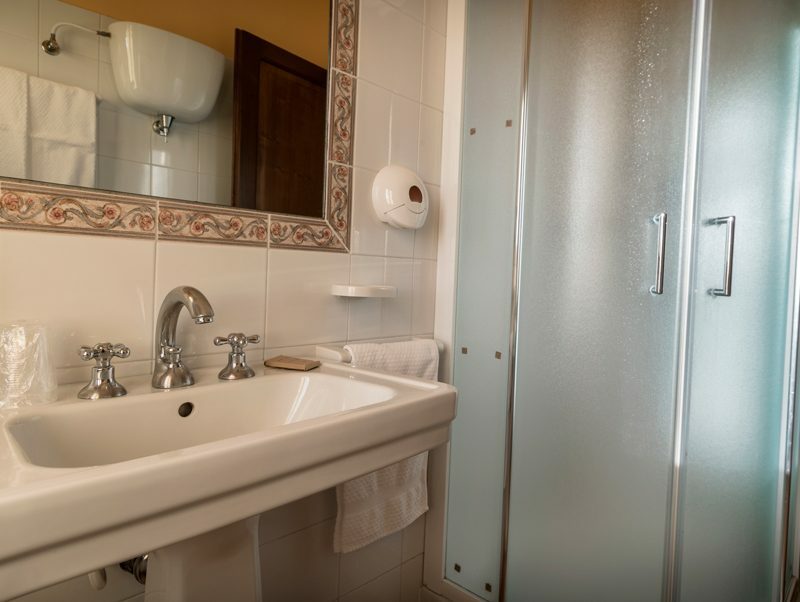 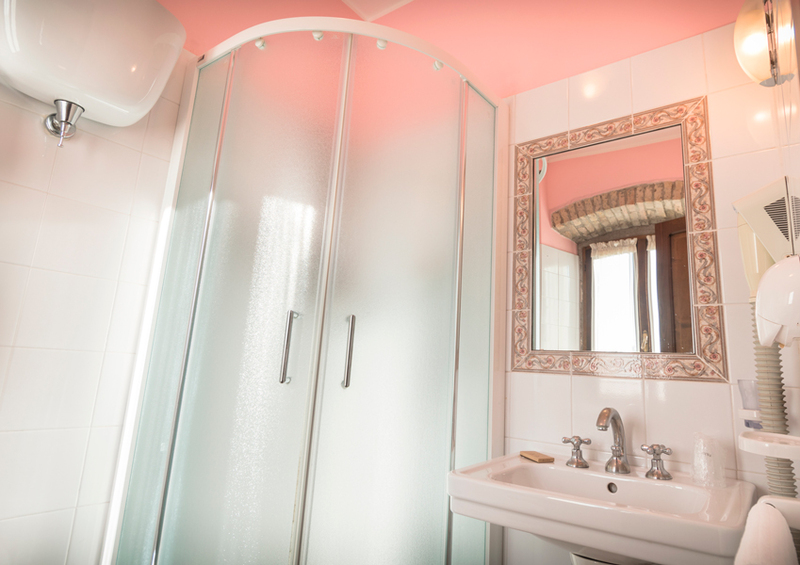 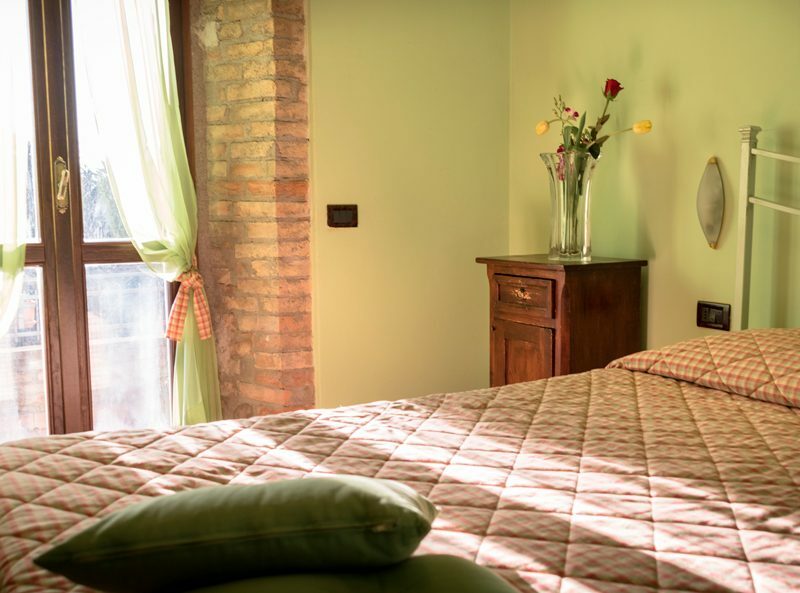 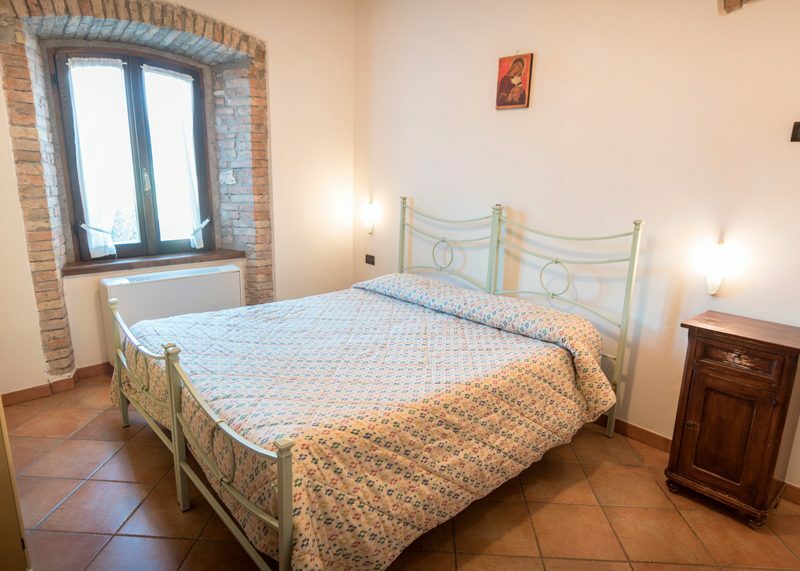 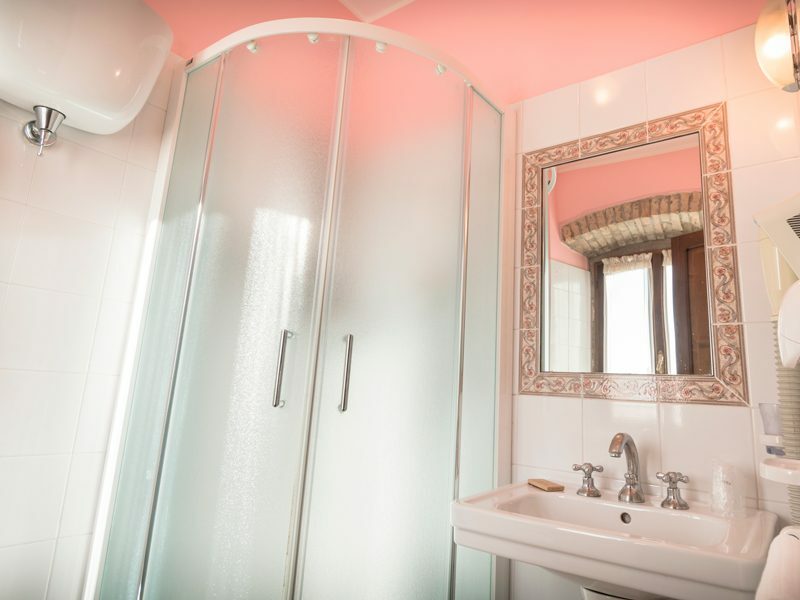 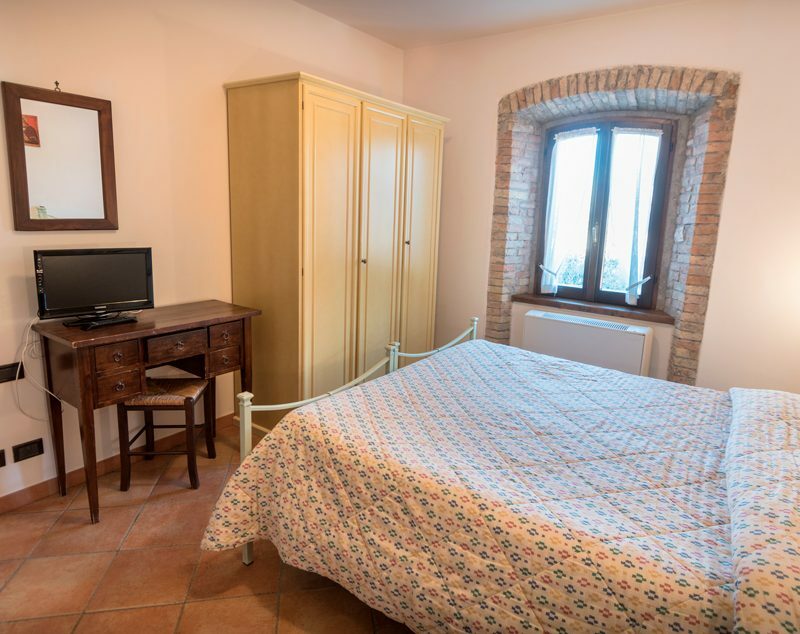 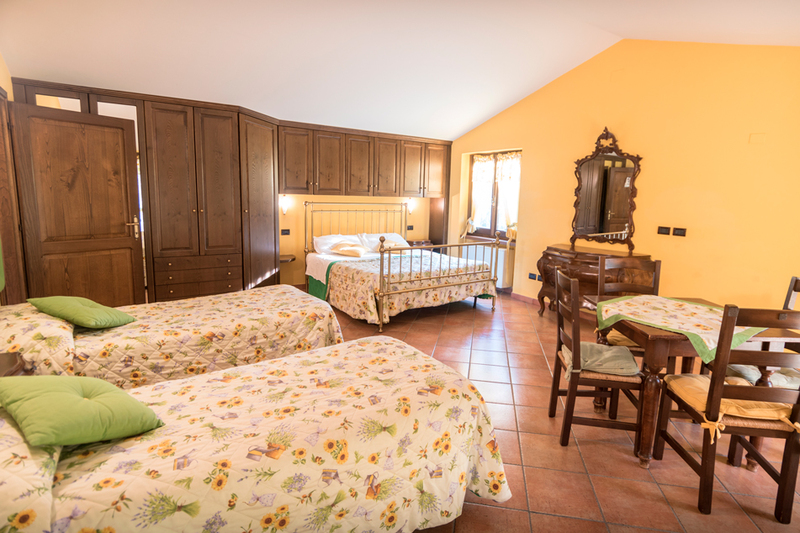 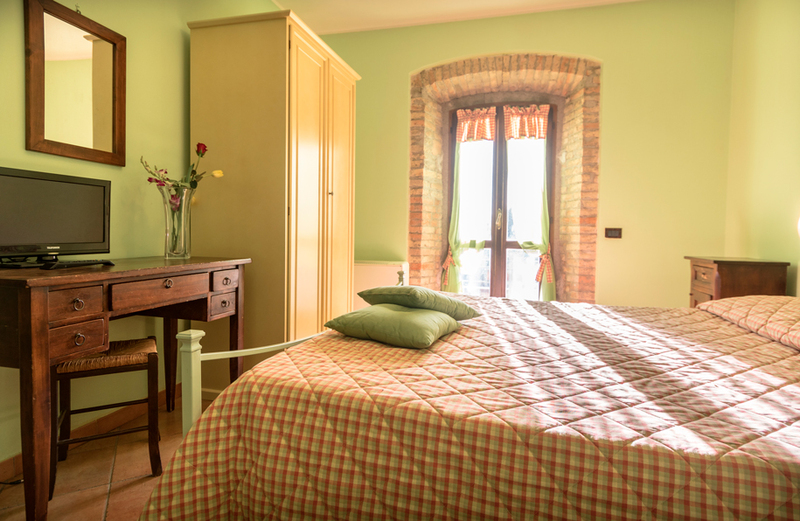 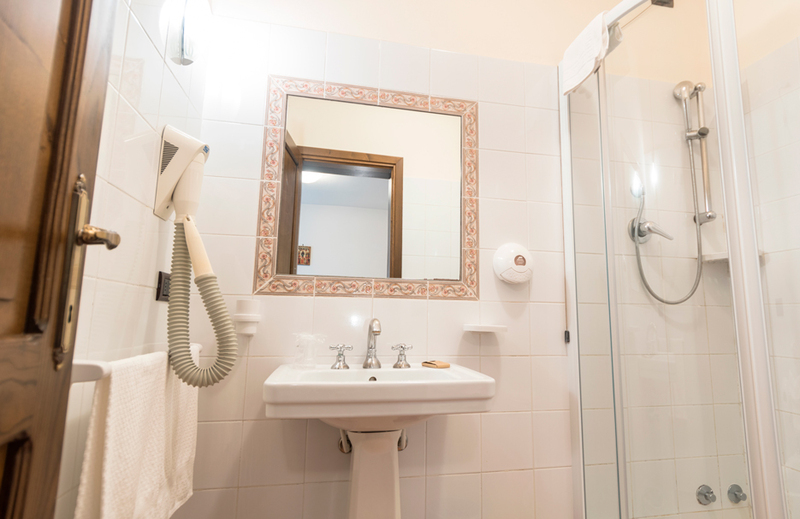 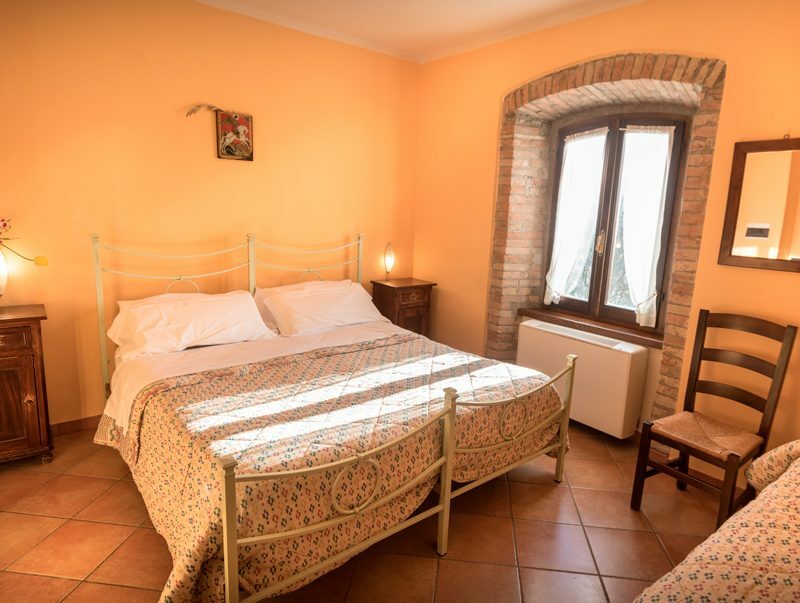 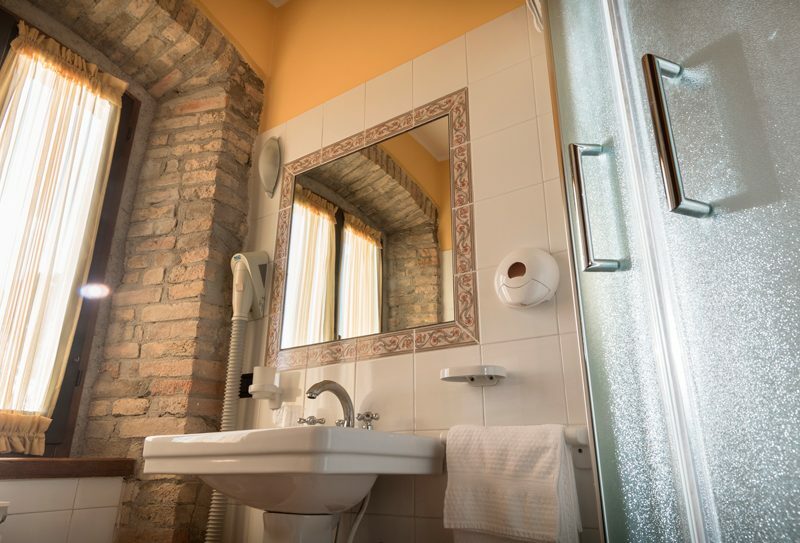 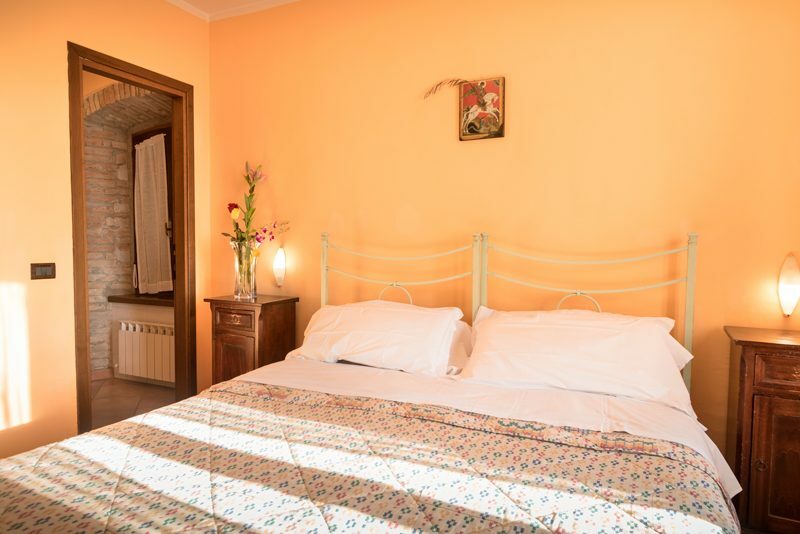 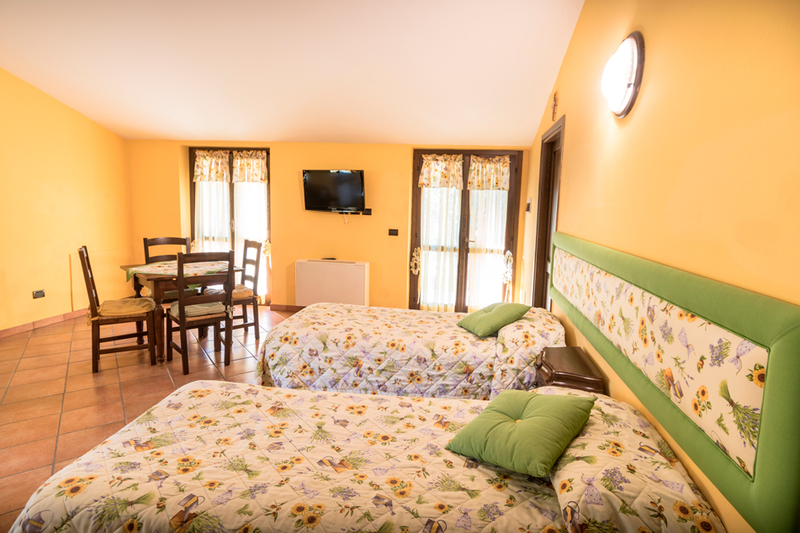 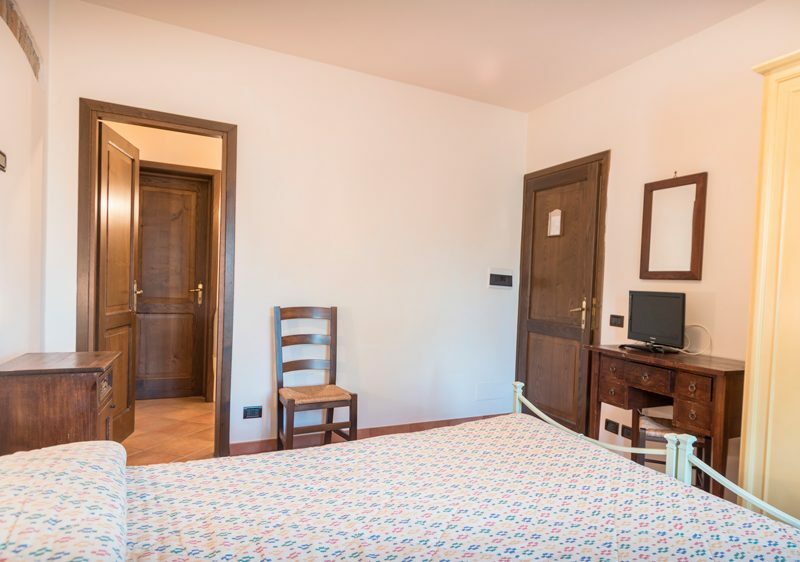 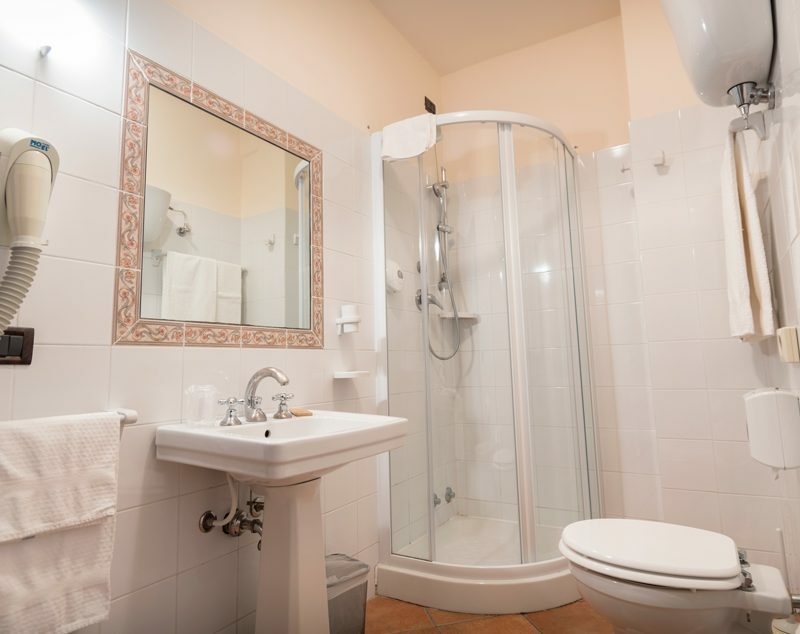 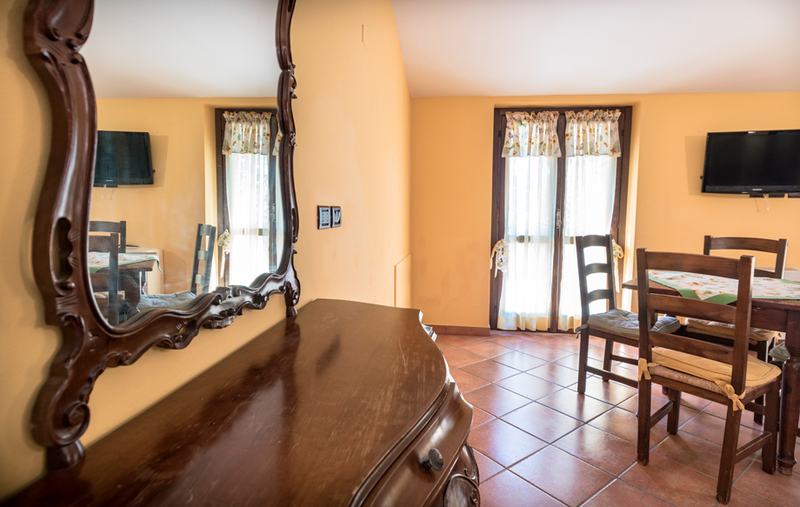 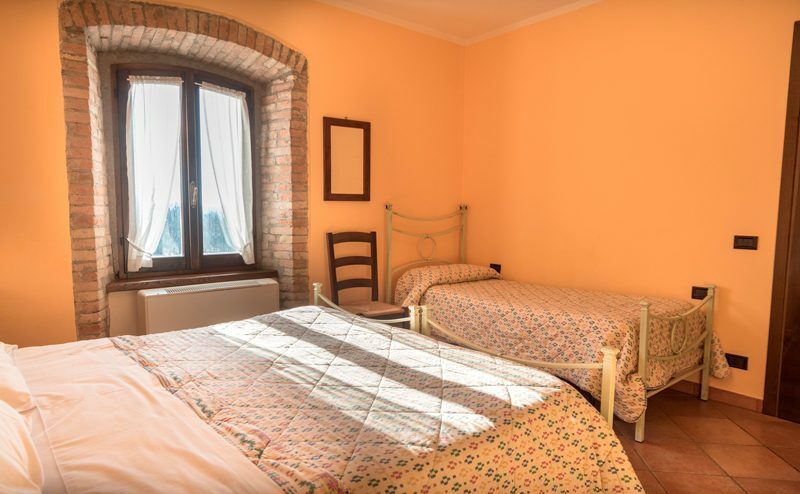 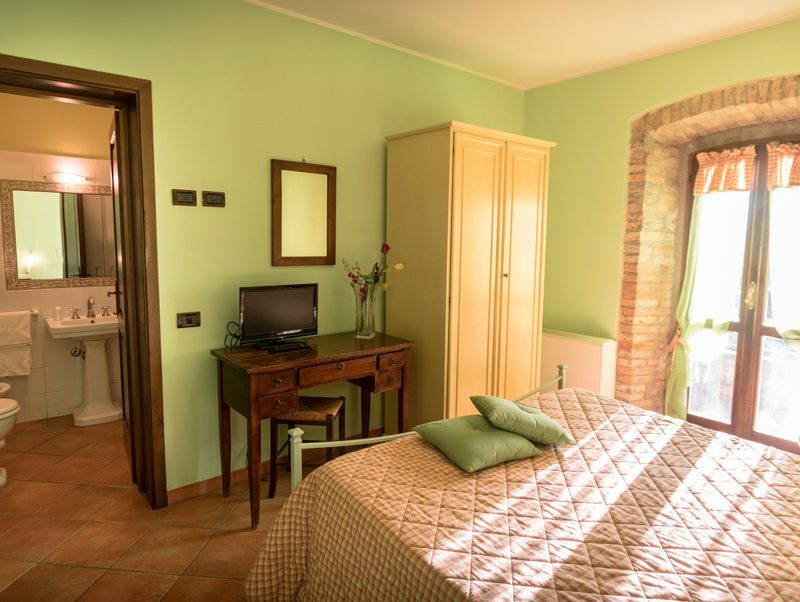 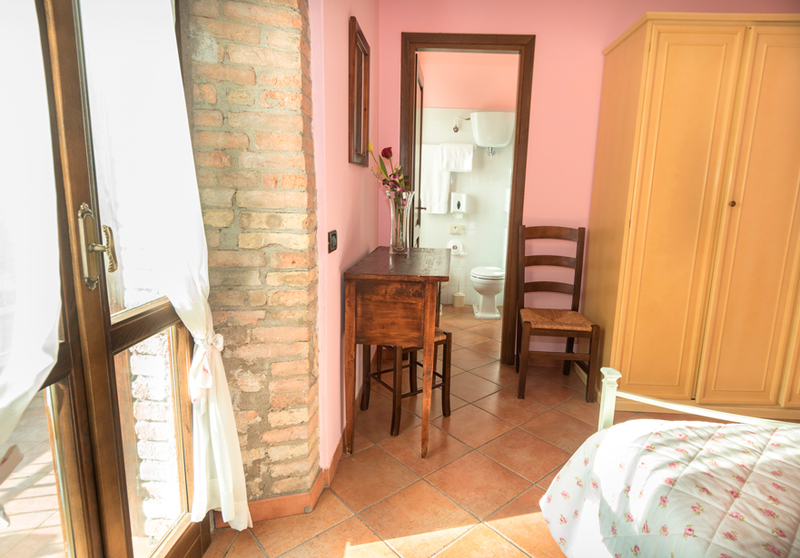 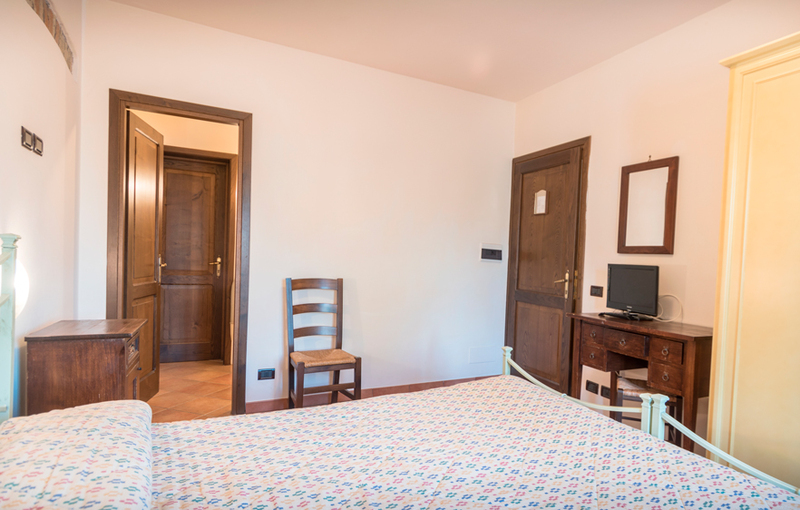 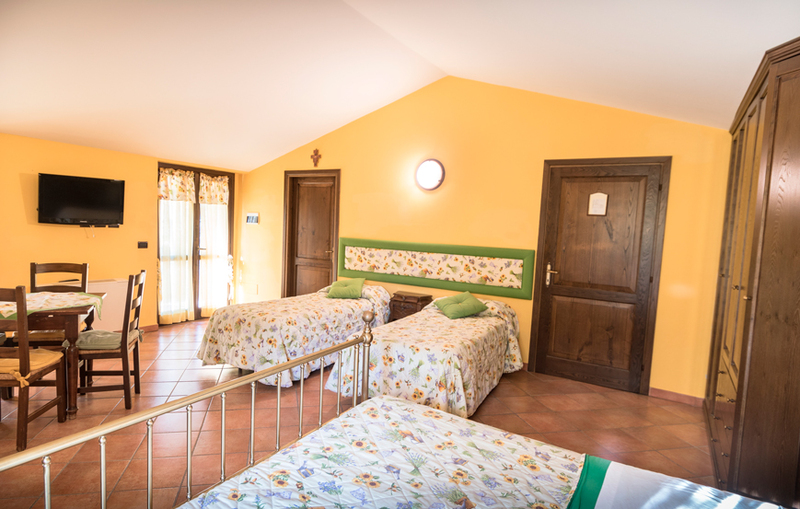 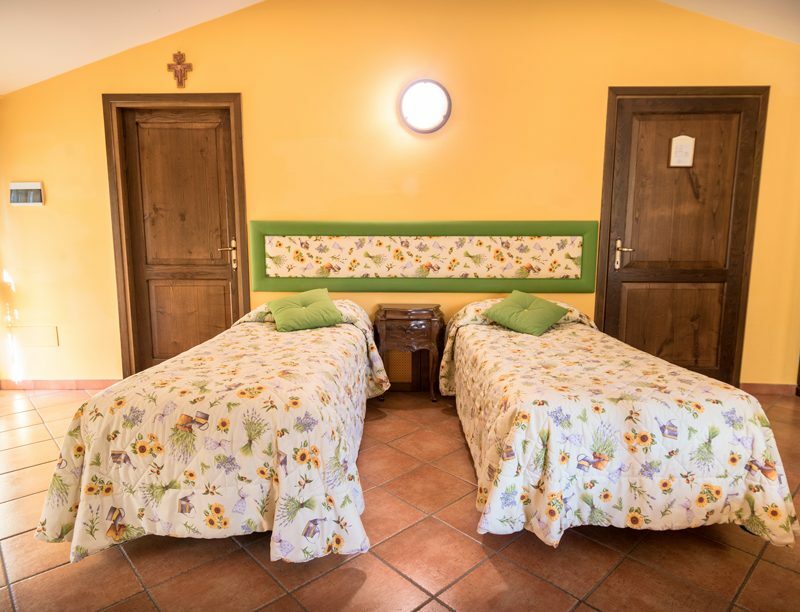 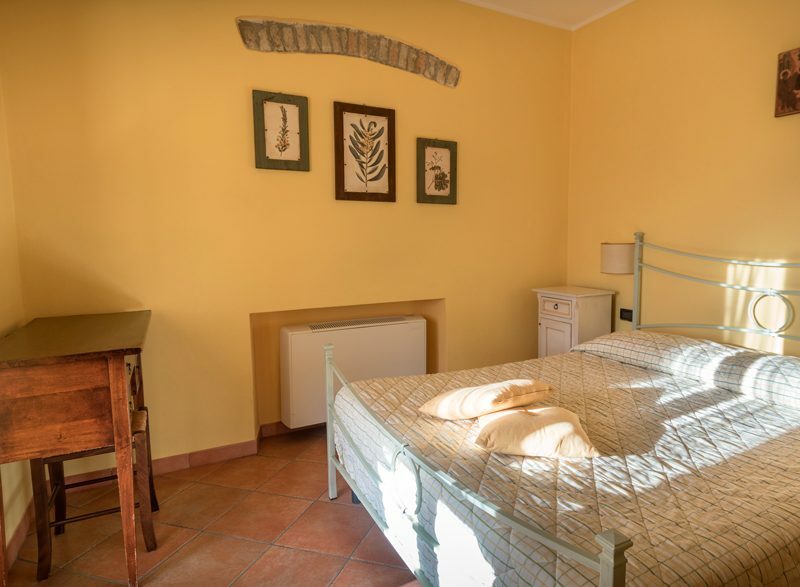 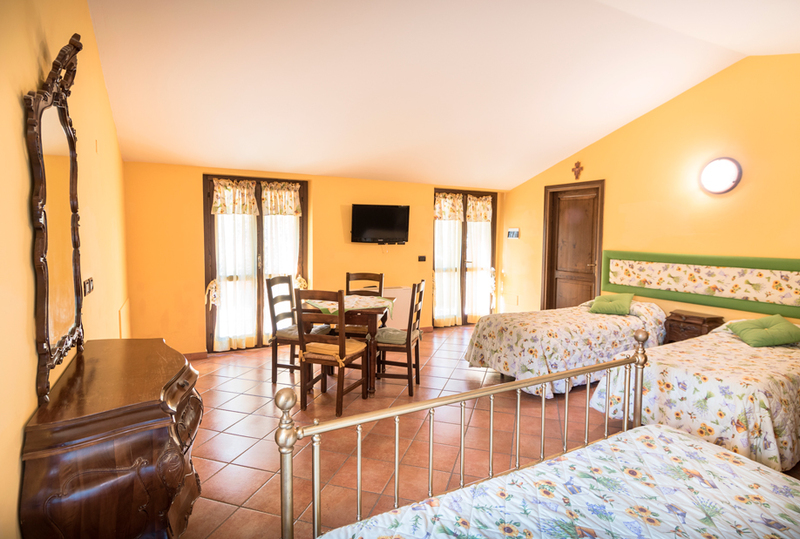 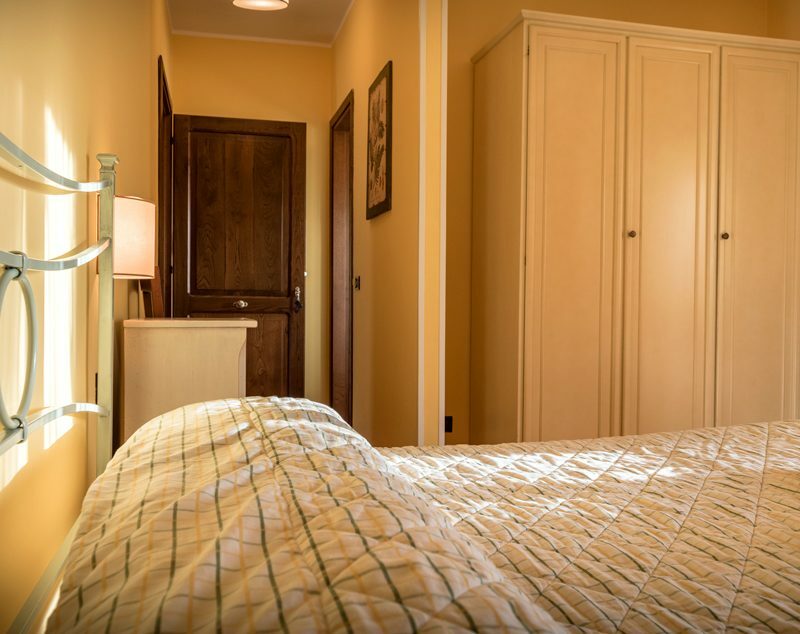 The “La Ginestra” room can comfortably accommodate up to 5 people, with a large double bed and 3 single beds. 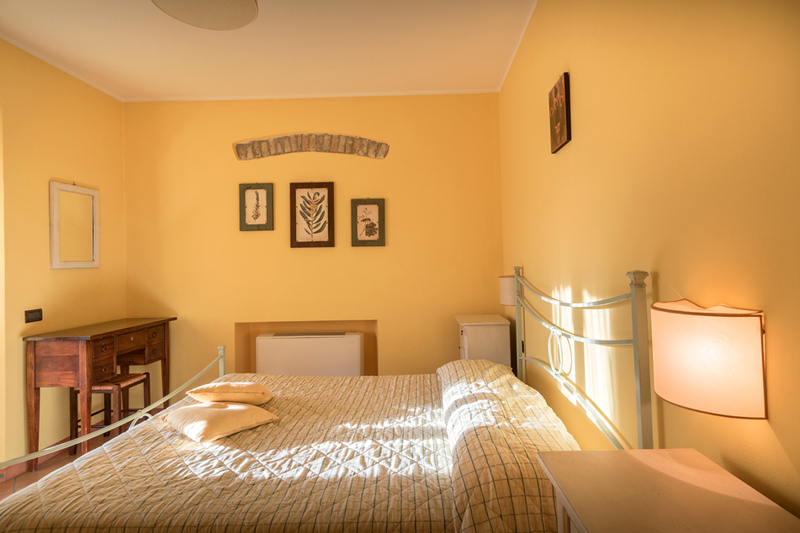 With its yellow color, the room recalls the characteristics of the flower from which it takes its name: bright and shining. 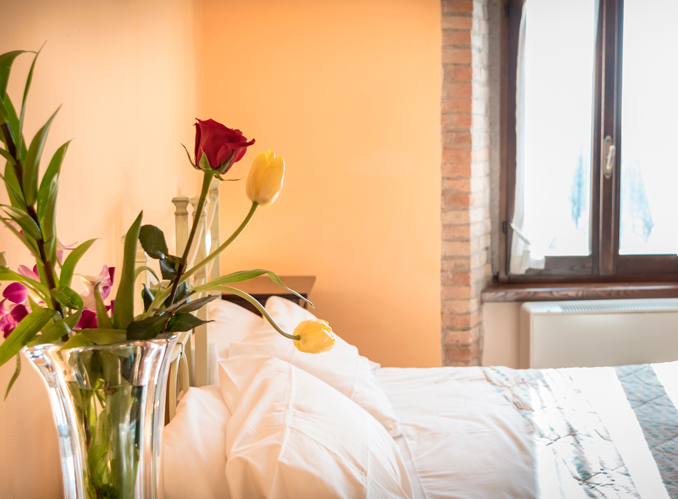 Exactly like the flower that represents it, the “Il Mughetto” room is nice and carefree. 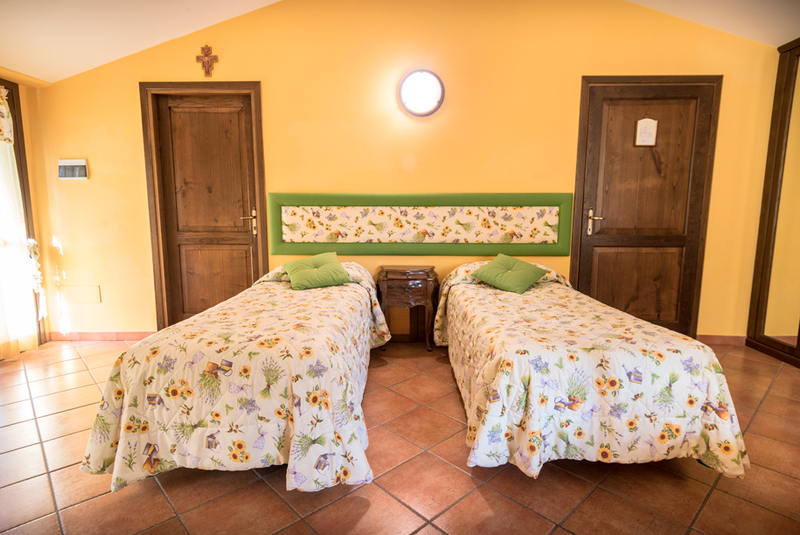 Very simple in the furnishings, the accommodation is naturally well lit and takes up the white color of the flower. 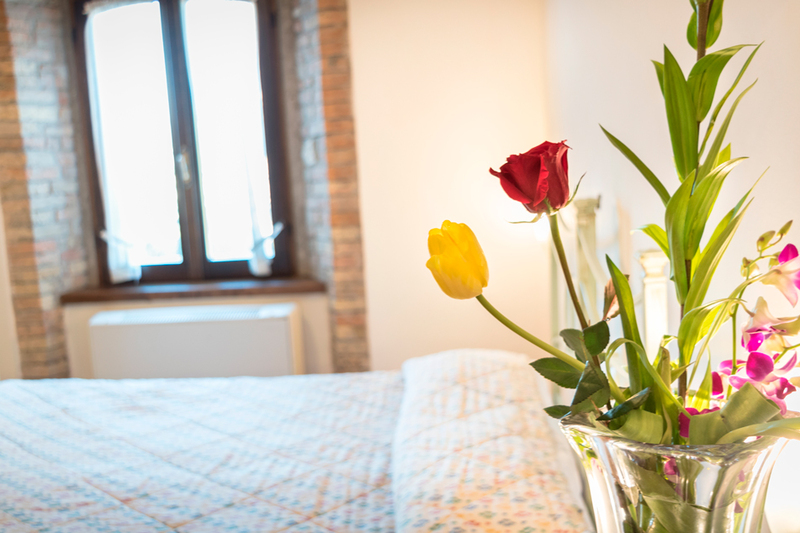 Cream-white in color, the room is inspired by the white tulip, a symbol of purity, innocence and forgiveness. 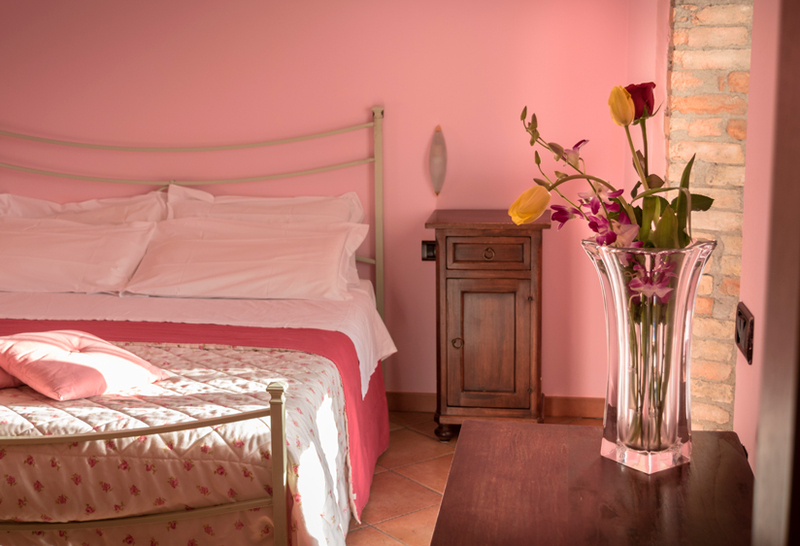 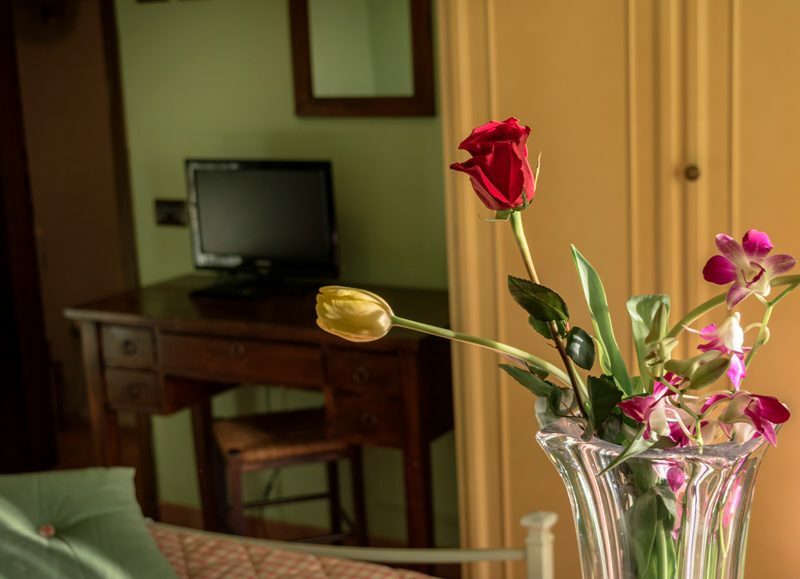 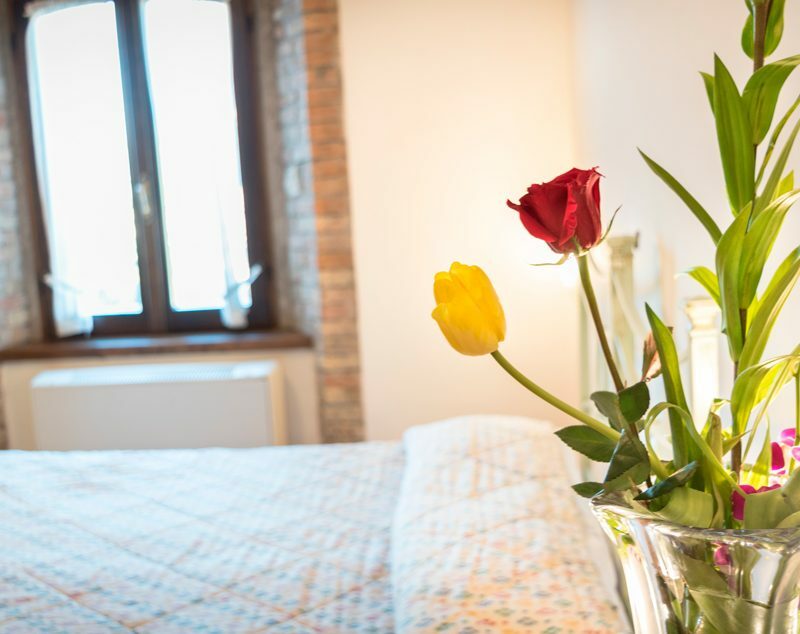 Il Tulipano, is a perfect accommodation for a couple as it is linked to respect and commitment between lovers.